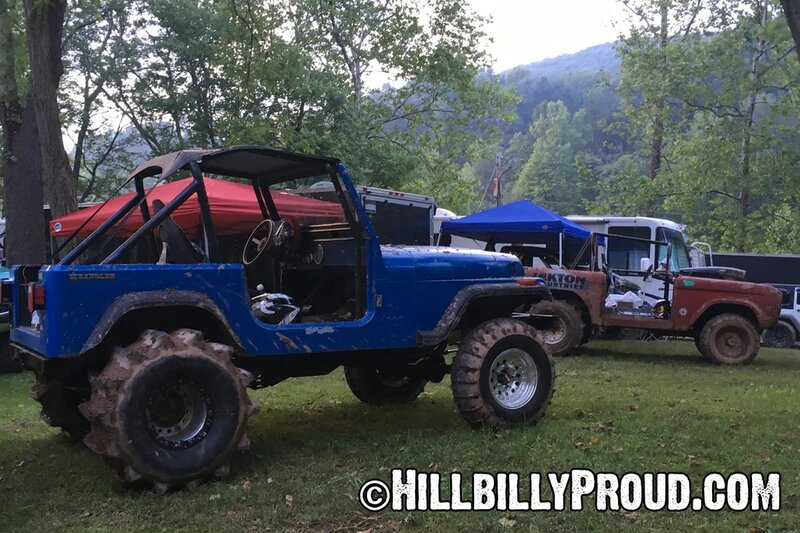 Admission is affordable and camping is available at additional costs which is a great deal if staying on site all weekend. It’s one of the few that we camp with the kids at but we decided not to risk it with the predicted rain and really wish we had brought the tent. 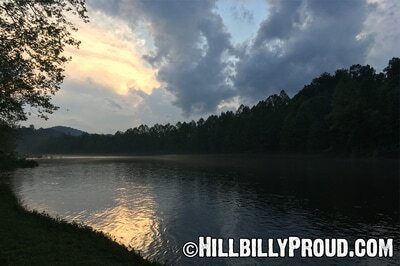 It turned out to be a slightly sloppy trip in and out of the grounds with some occasional rain but we missed waking up in a little piece of West Virginia heaven, usually to the gradual chorus of revving engines. 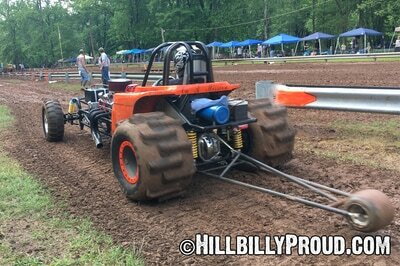 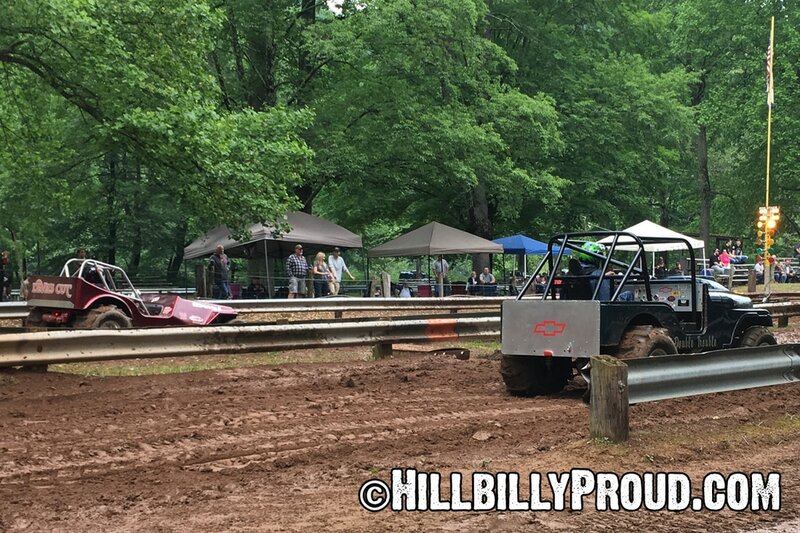 Saturday was rainy throughout the morning and at one point the Tucker County 4 Wheelers had the track groomed immaculately and ready for the time trials when a storm cell rolled through and dumped water onto the track. 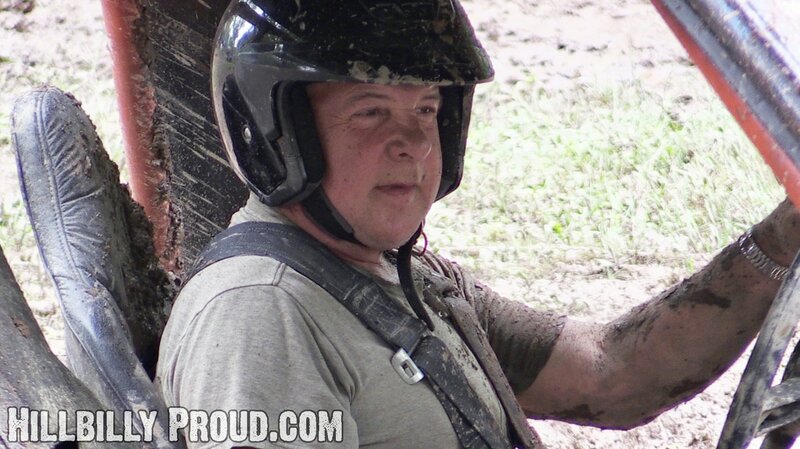 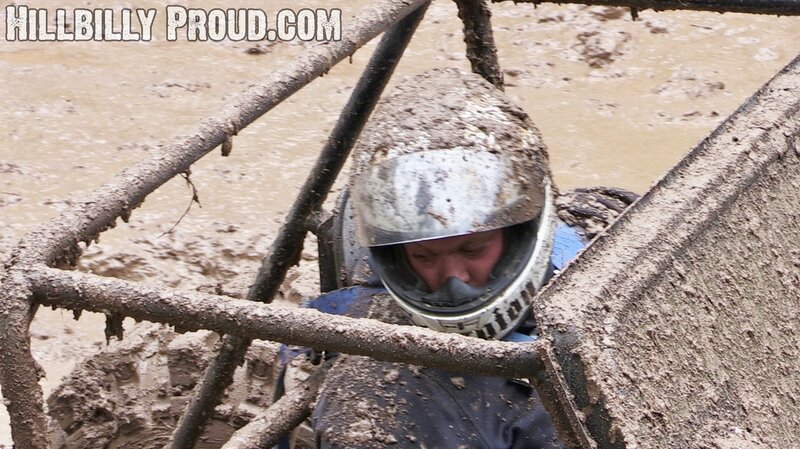 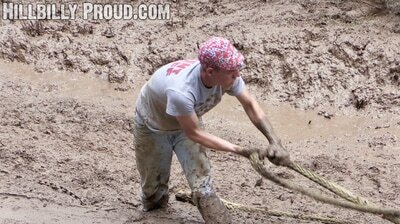 The staff of club members worked through the mud and time trials ran from just after noon until the early evening. Then came the sand slinging, single elimination, street stock bracket drag races and Index Class drag races before finishing the night with the Big Eliminator race. 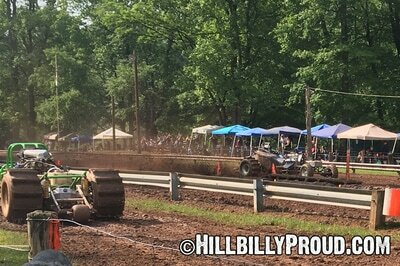 The track conditions were far from perfect but the crew and the racers from all over the East Coast put on a great race. 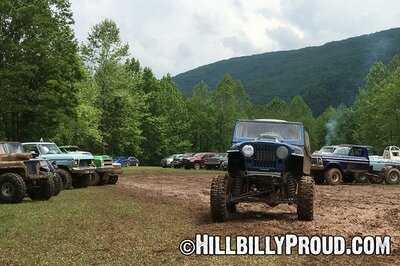 The results are not up yet but they should be posted online at the Tucker County 4 Wheelers site tc4x4.com soon. 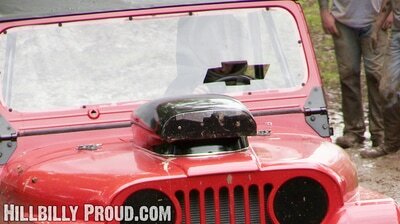 Keith's new camera lets him take a picture and record video separately but simultaneously. Apparently the old one would take pictures but it would interfere with the video so this is a pretty neat addition to the video work. 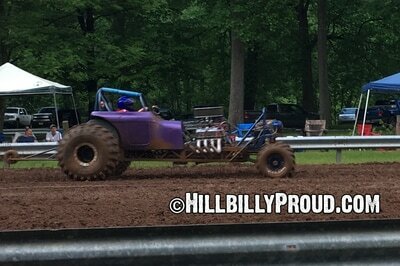 It will take practice to use more often and he wasn't familiar enough to do it during the sand drags or first classes because it may have messed him up but this whole next section of pictures is from the video snapshots. 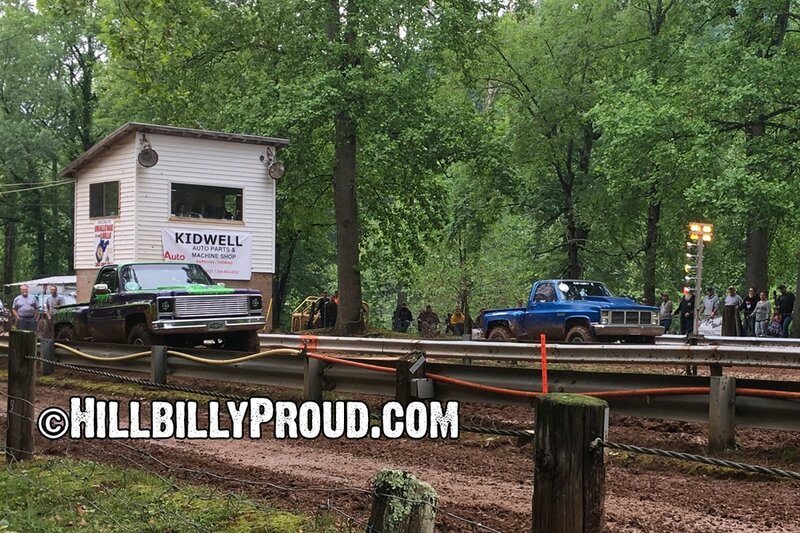 Sunday morning is the junior drag racing and for the first time in years, we missed filming the youth event and hope that all of the kids had a blast participating. 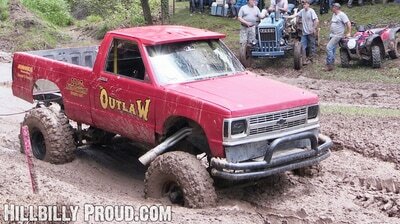 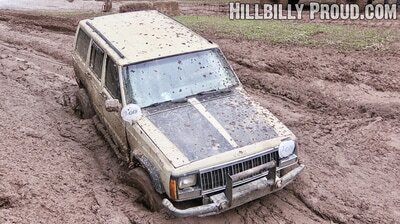 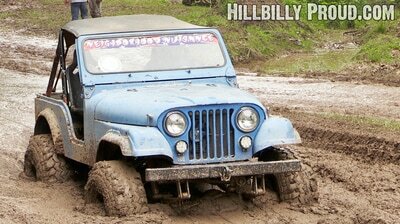 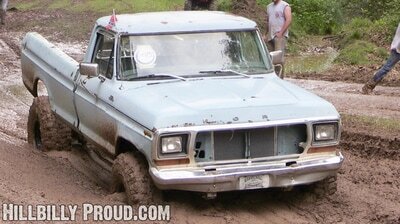 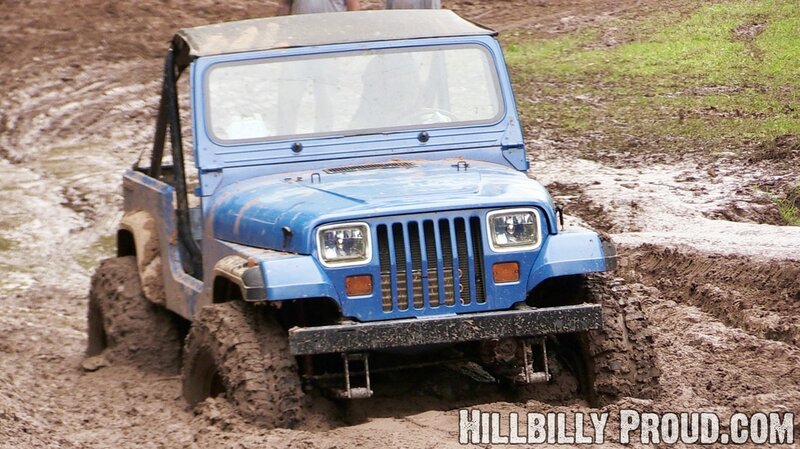 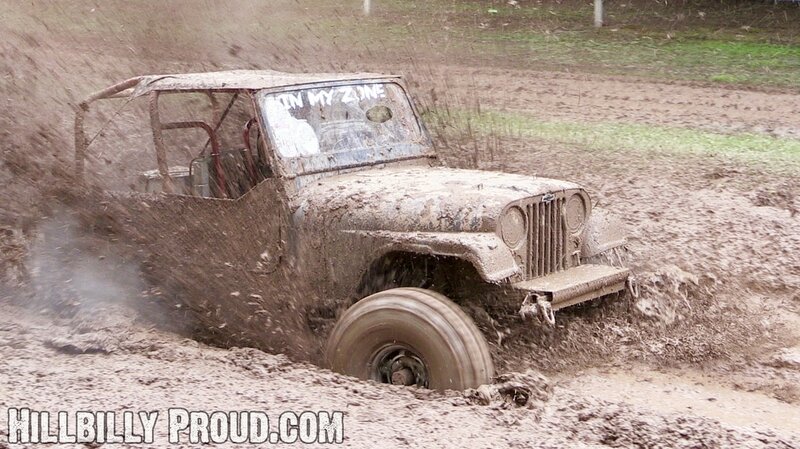 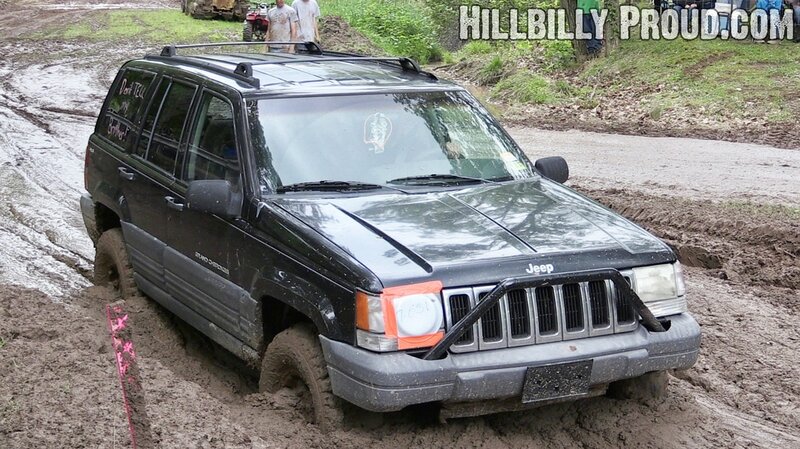 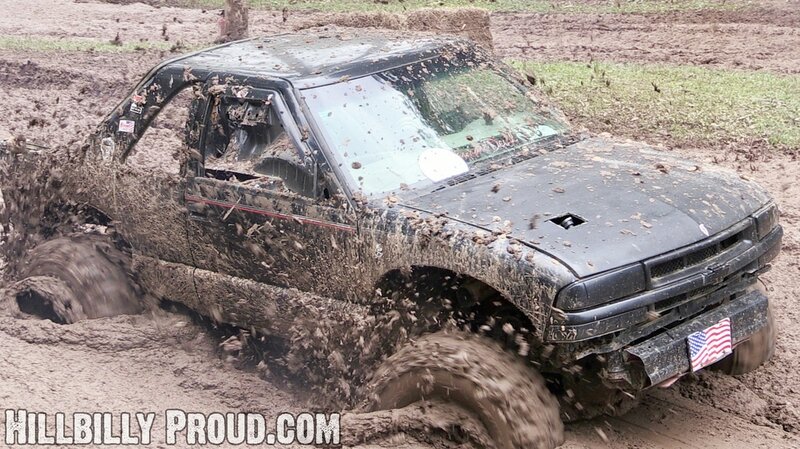 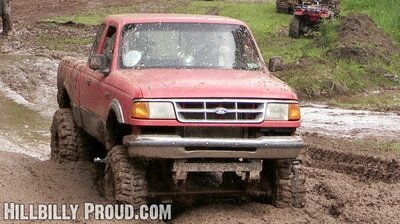 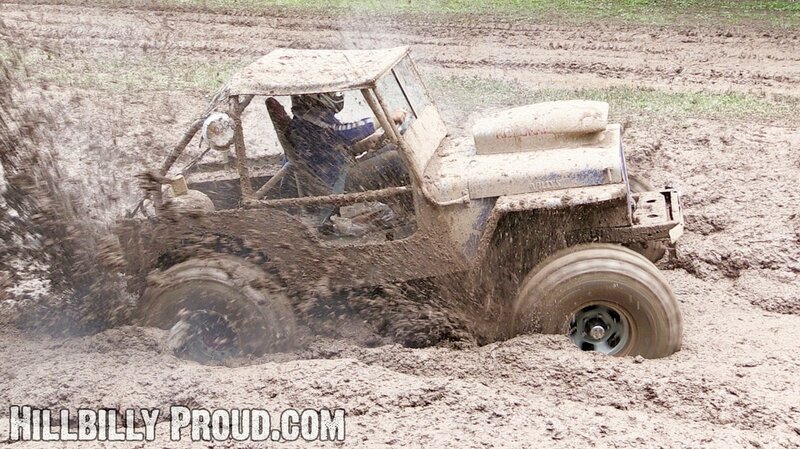 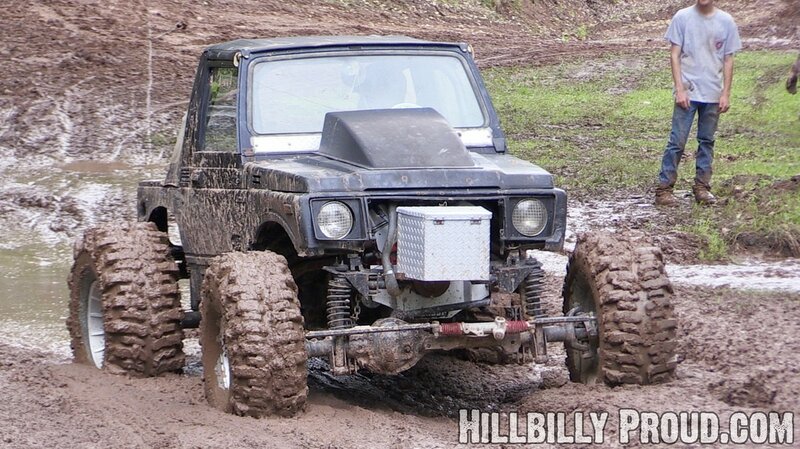 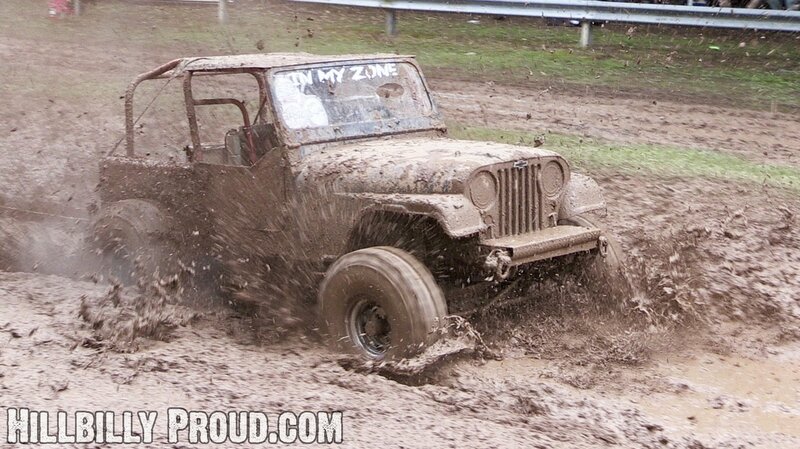 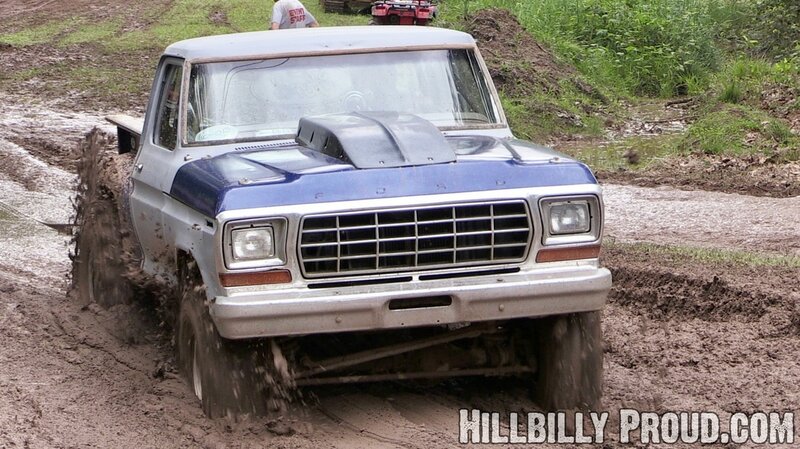 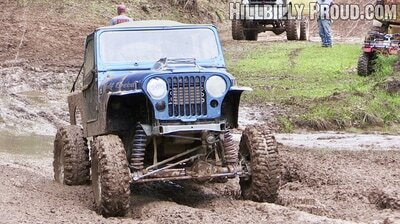 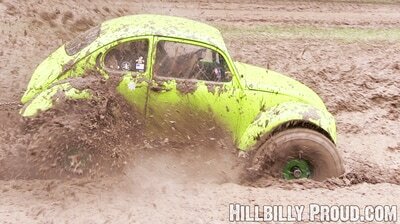 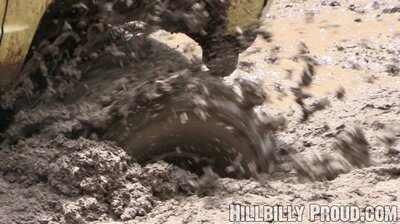 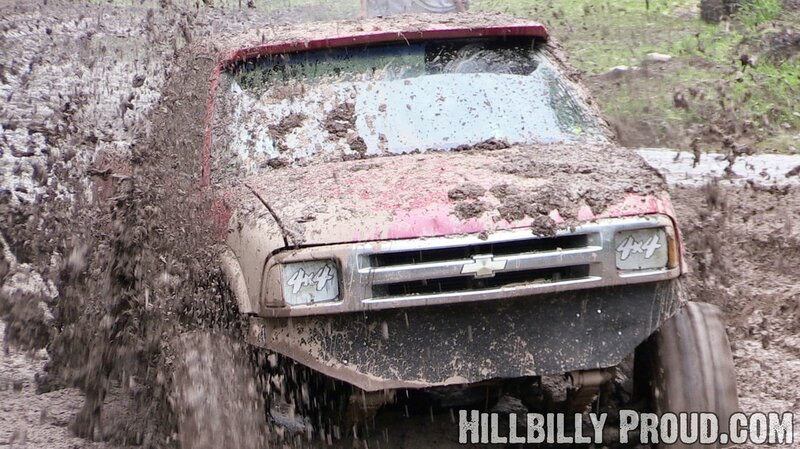 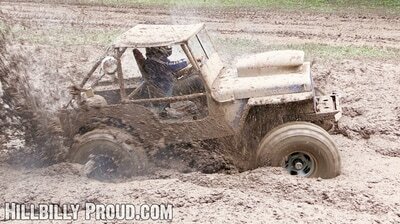 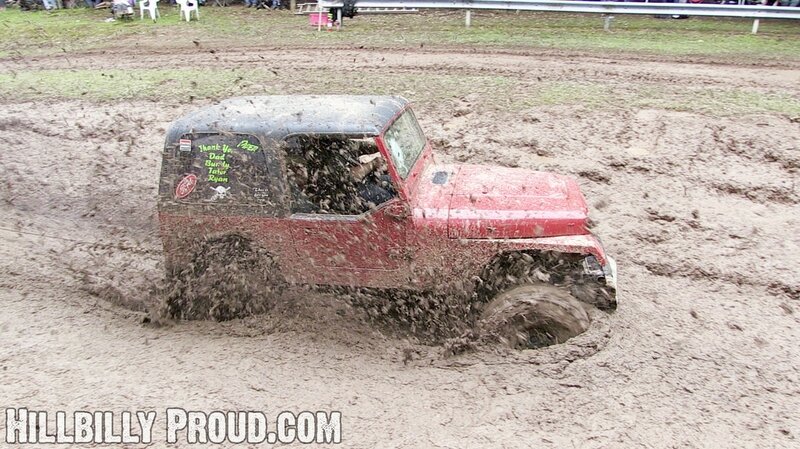 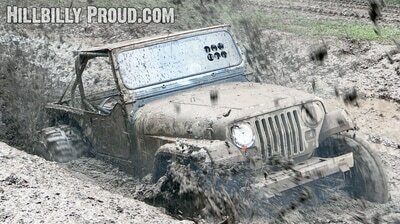 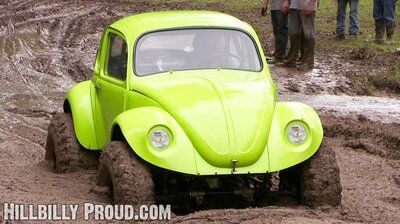 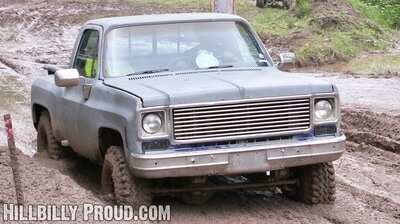 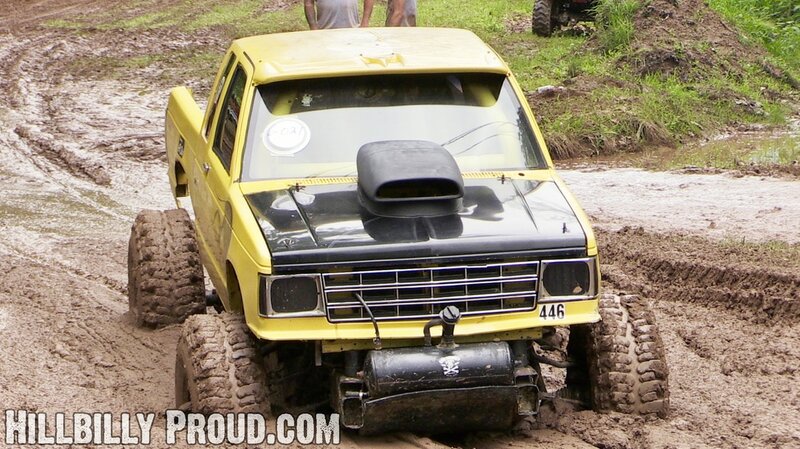 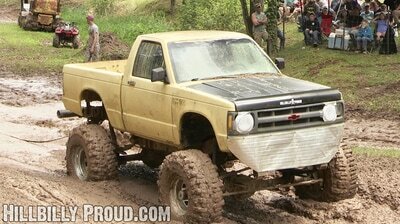 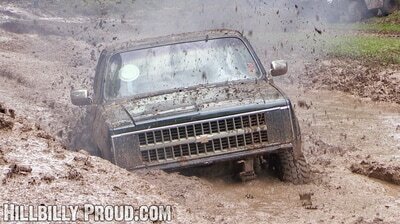 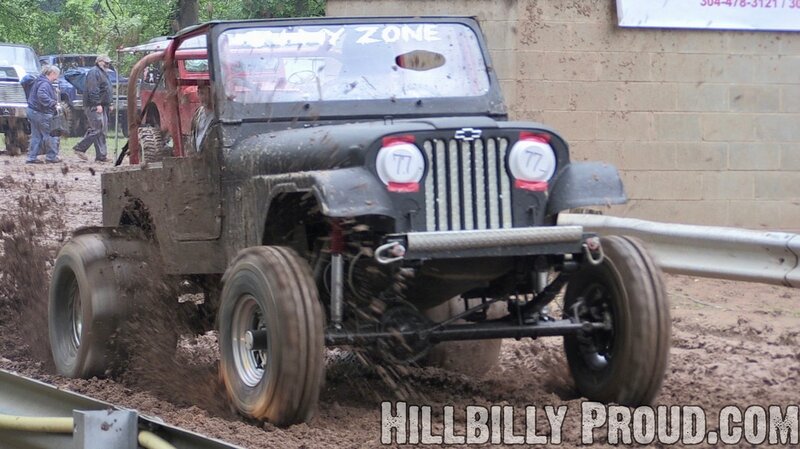 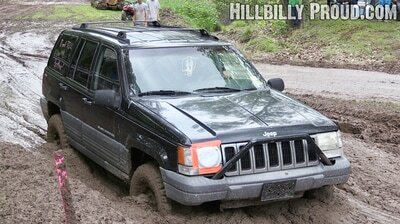 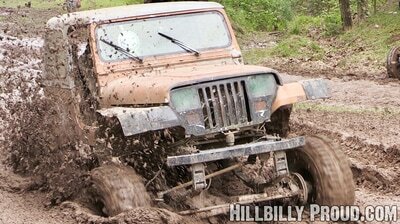 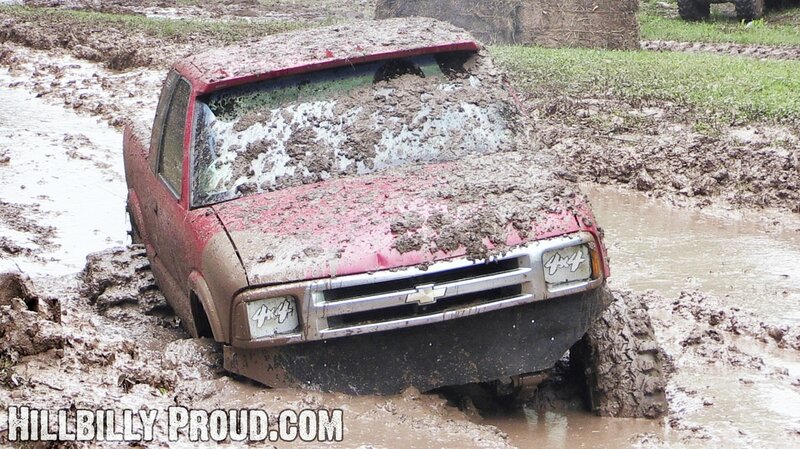 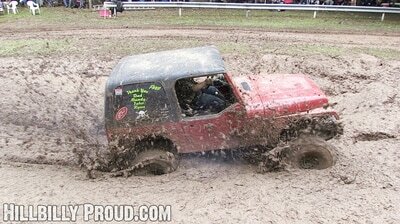 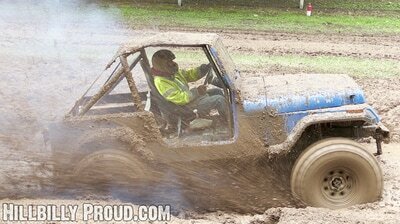 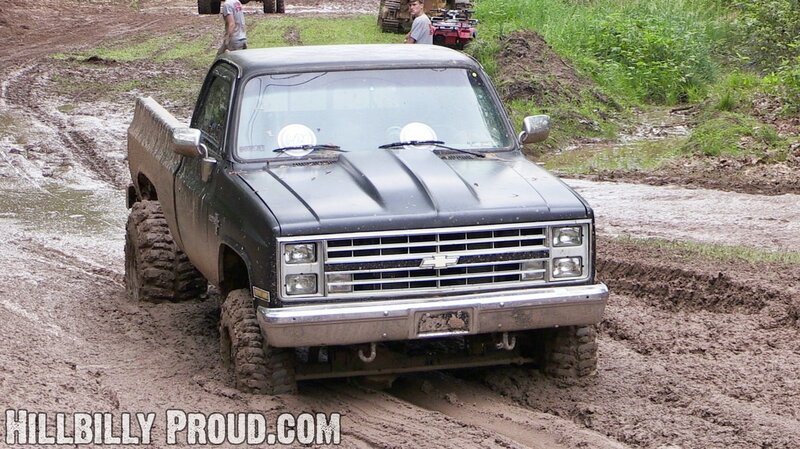 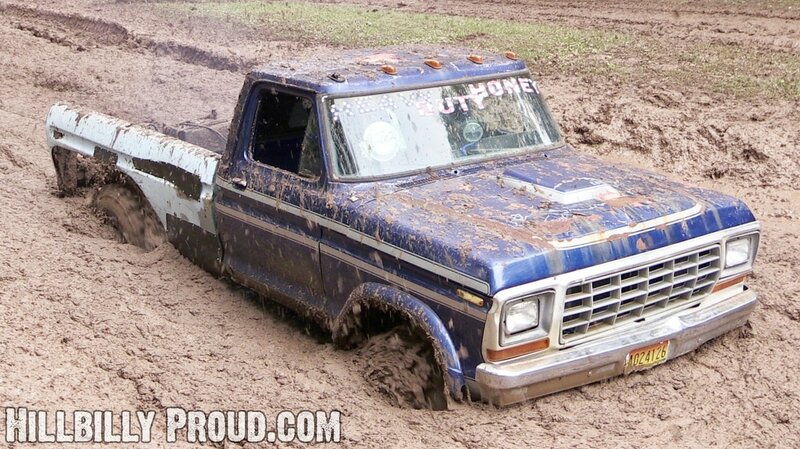 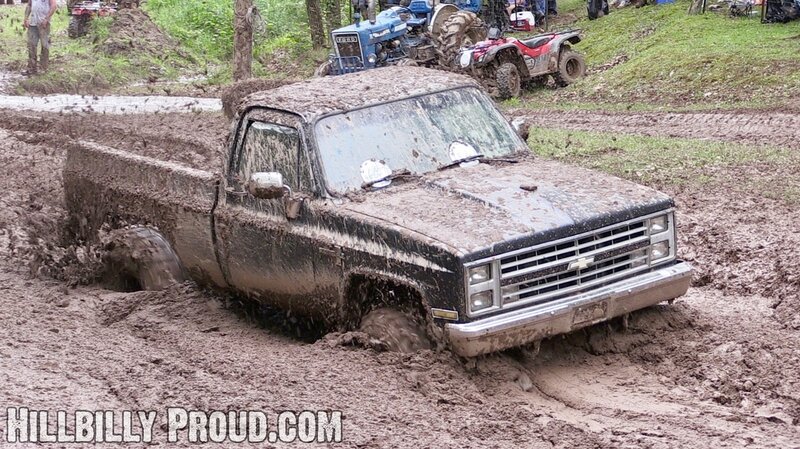 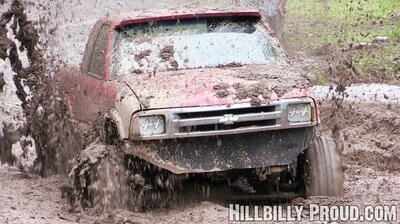 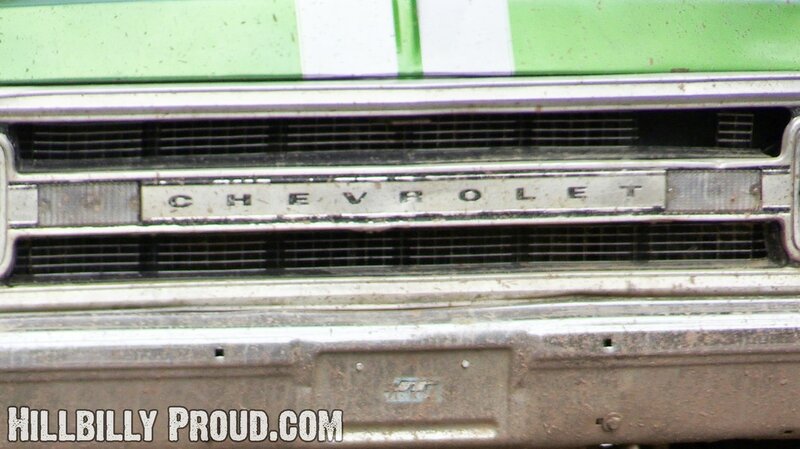 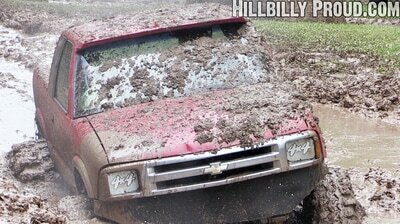 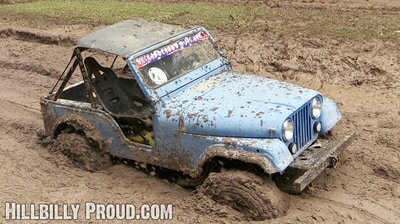 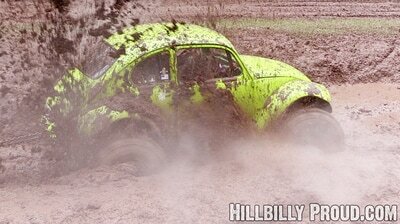 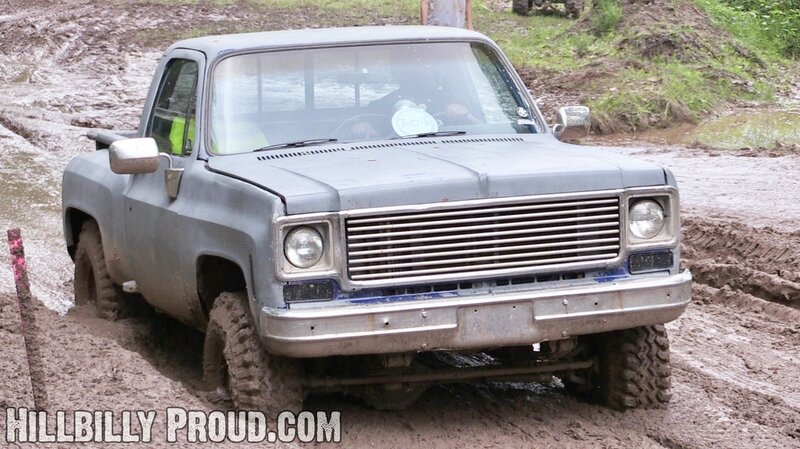 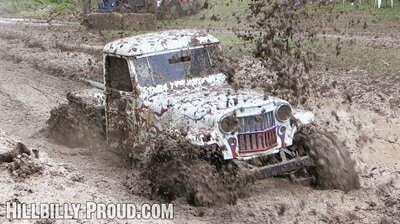 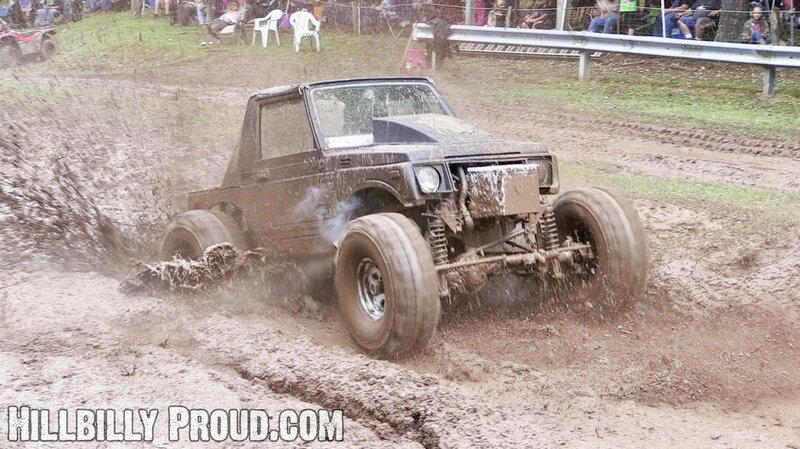 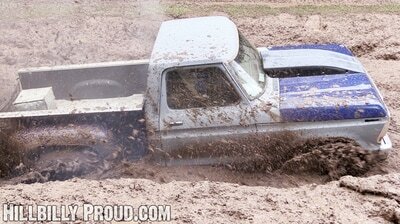 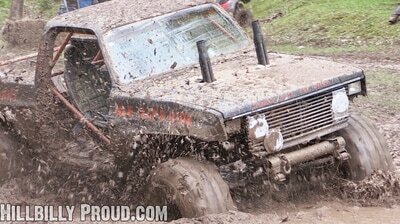 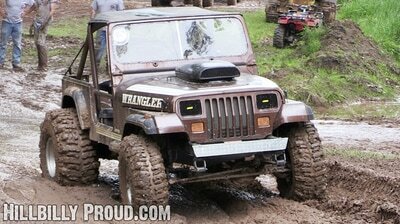 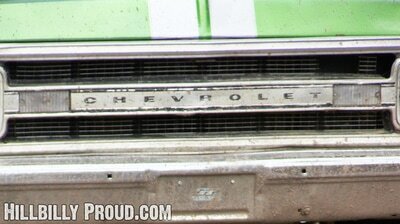 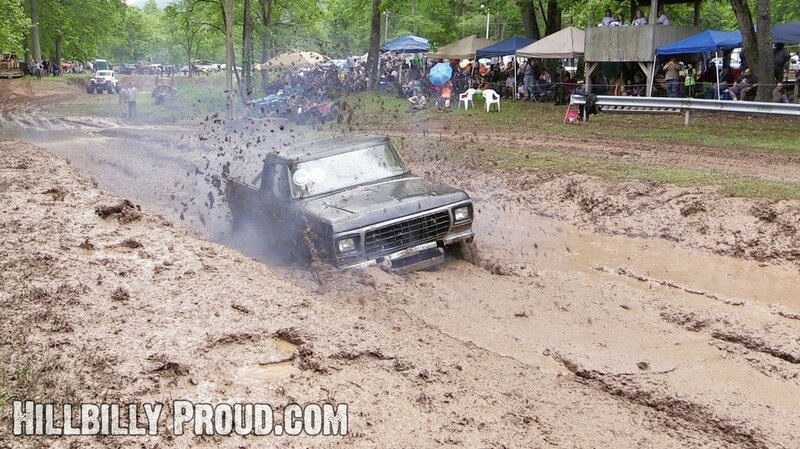 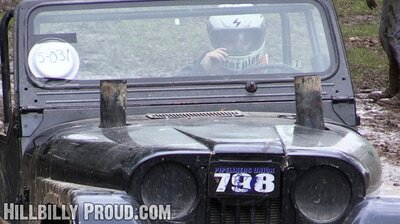 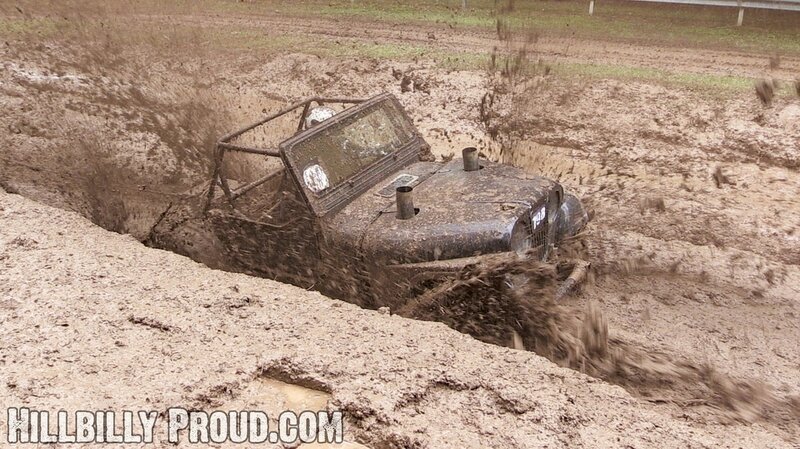 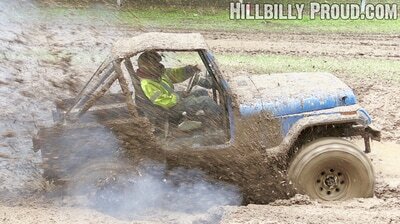 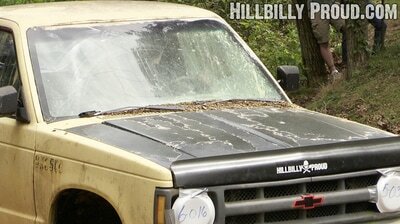 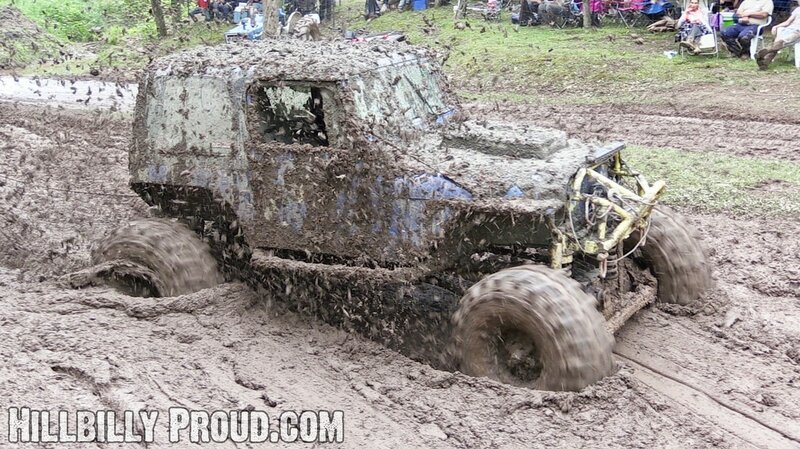 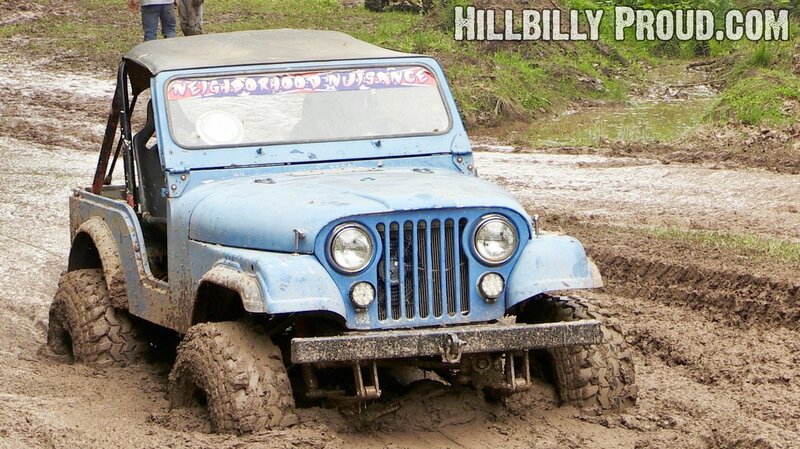 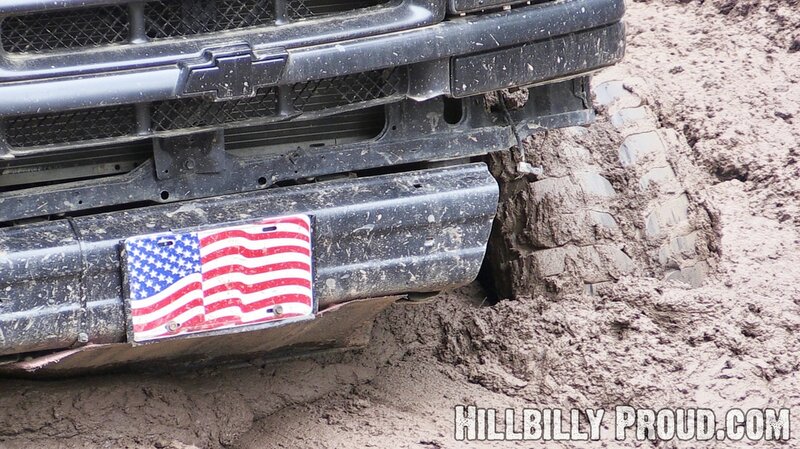 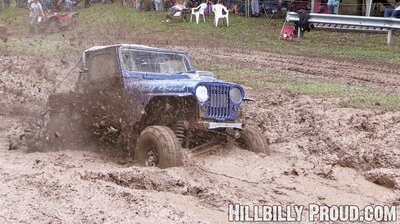 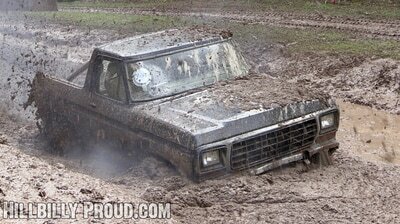 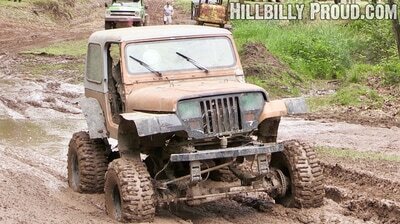 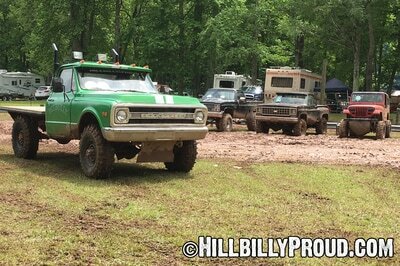 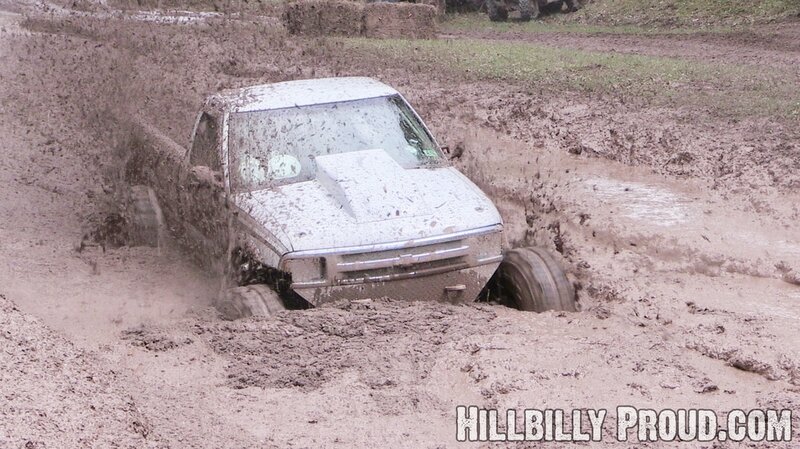 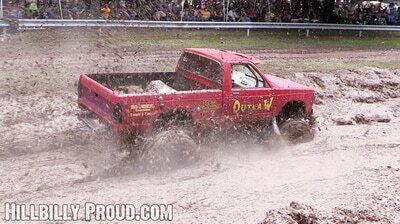 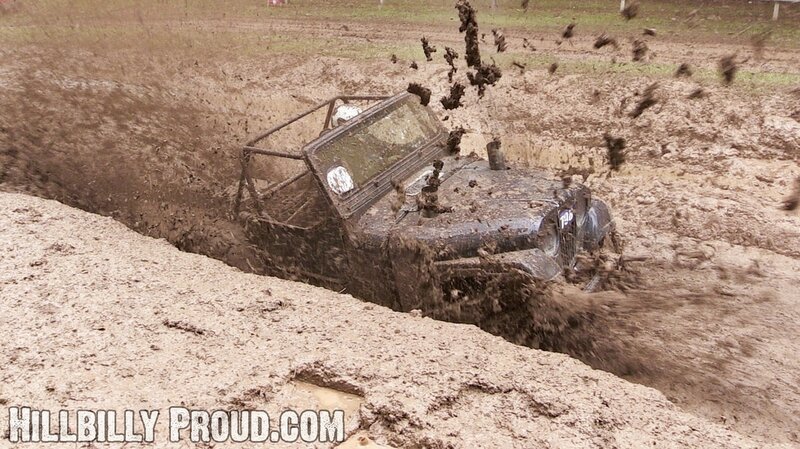 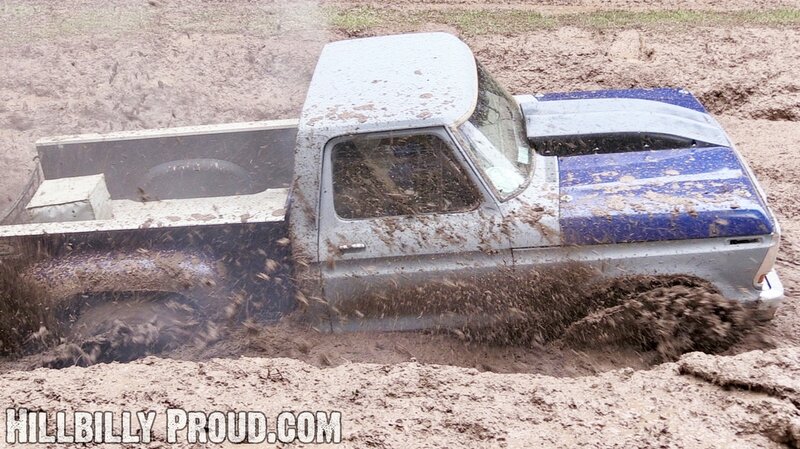 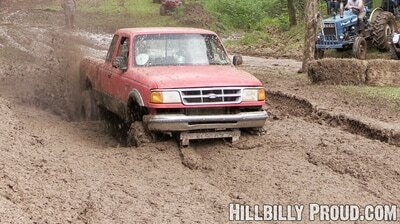 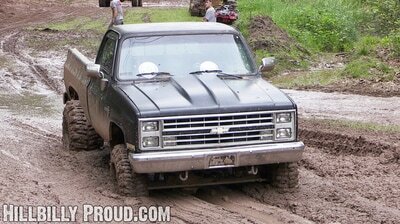 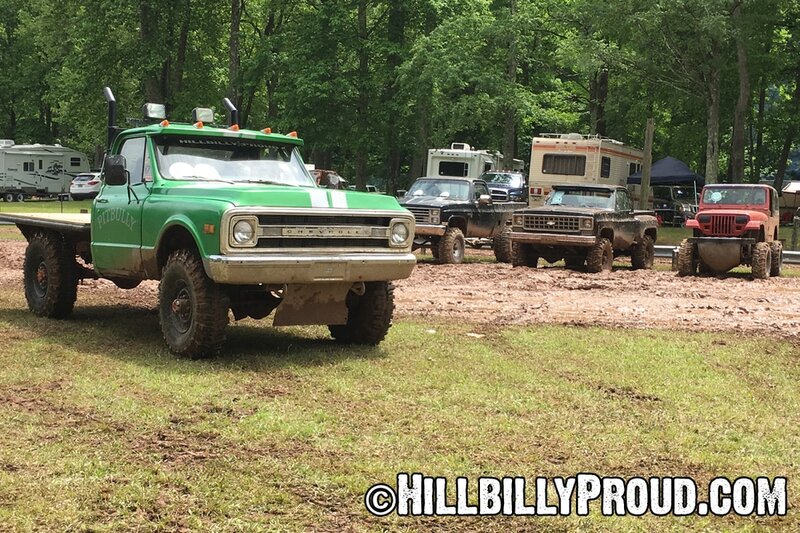 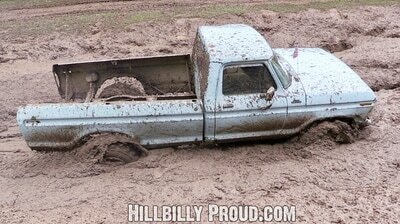 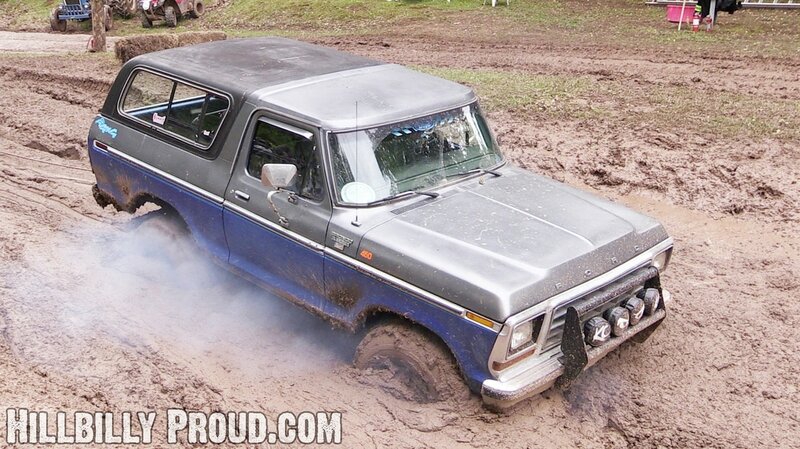 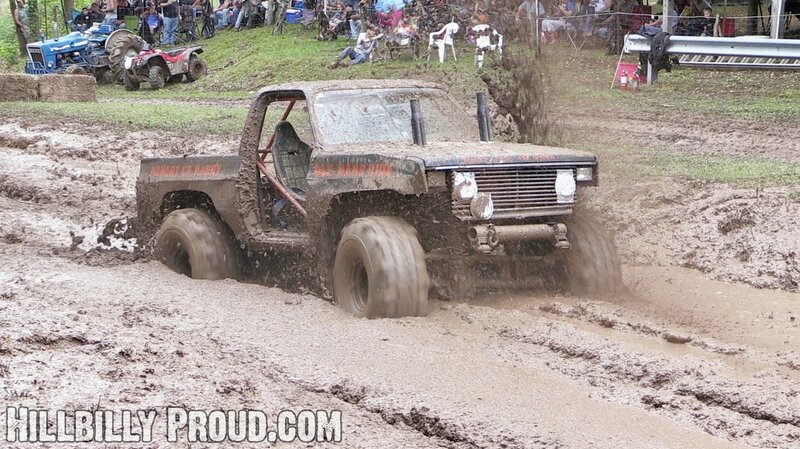 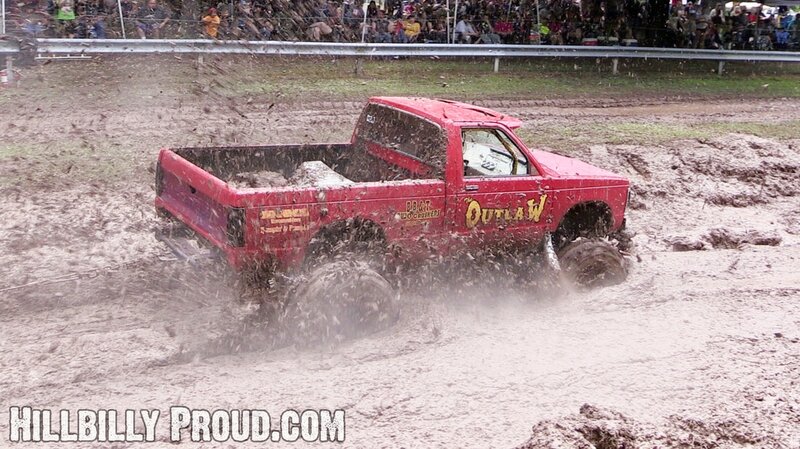 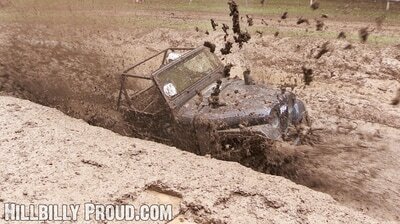 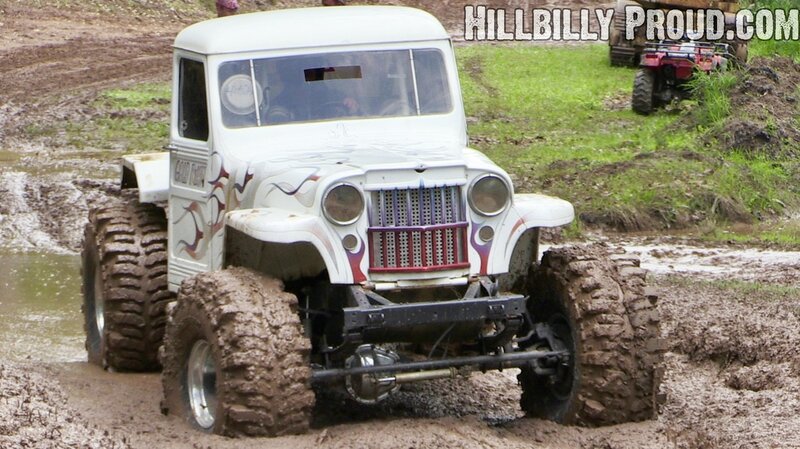 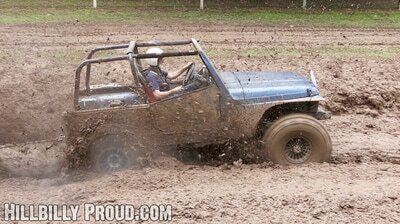 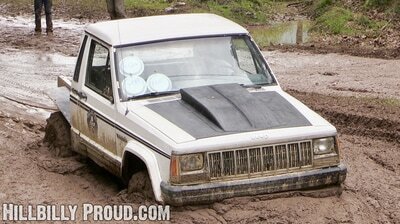 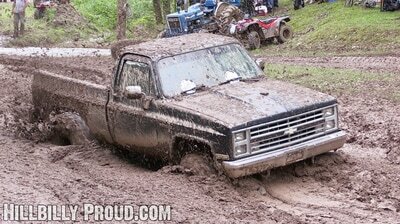 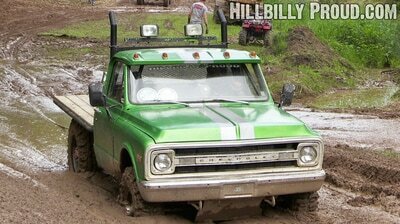 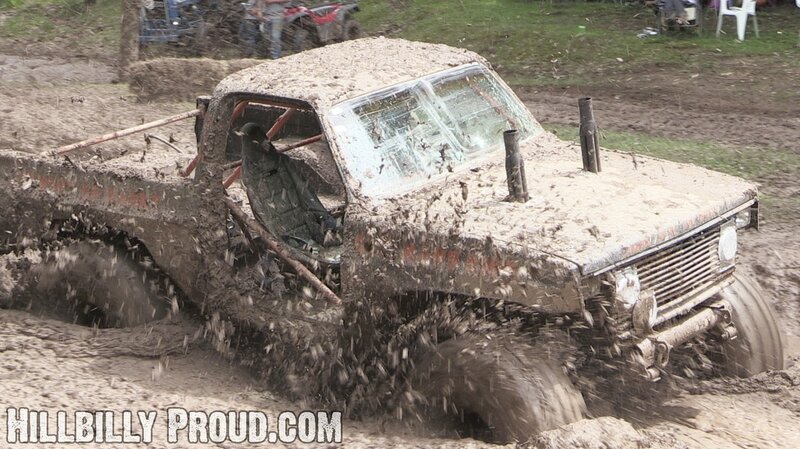 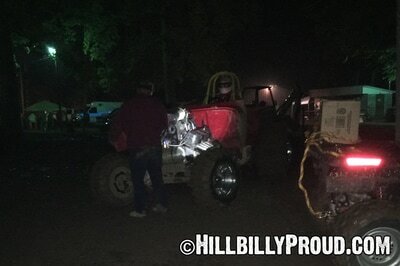 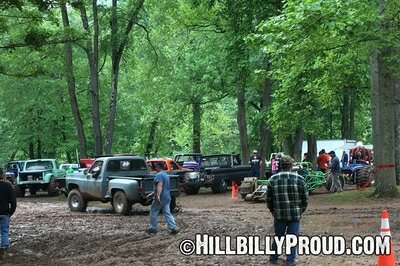 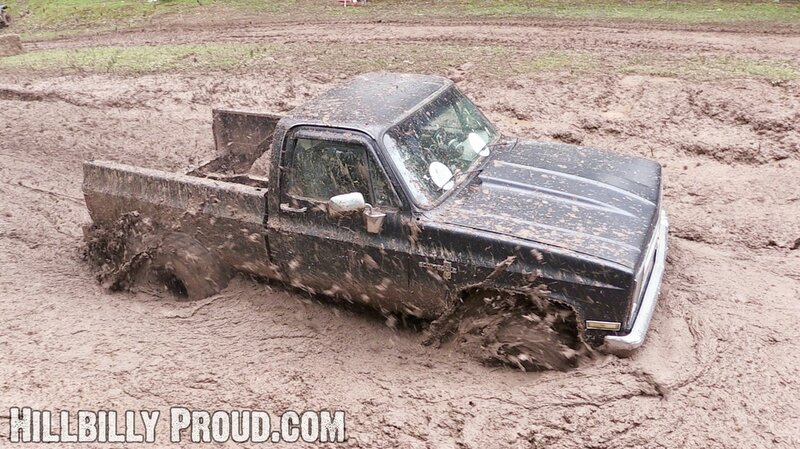 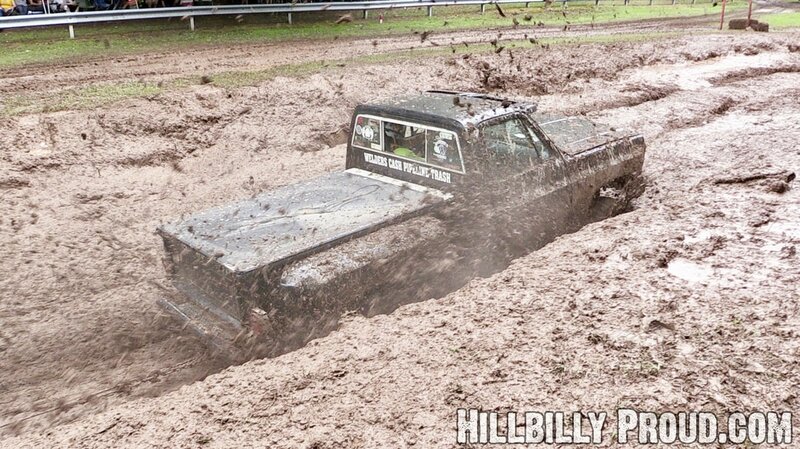 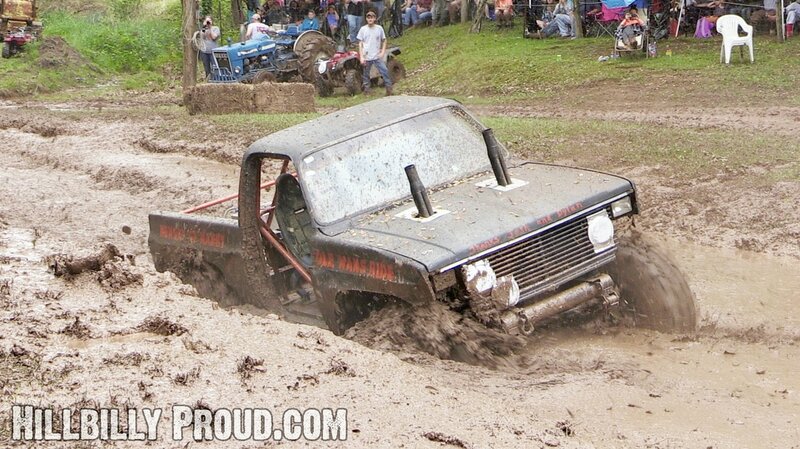 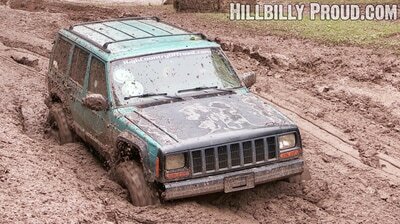 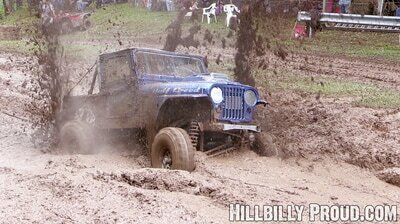 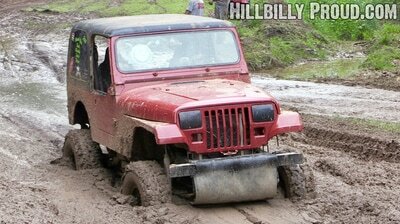 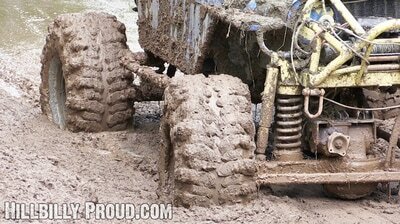 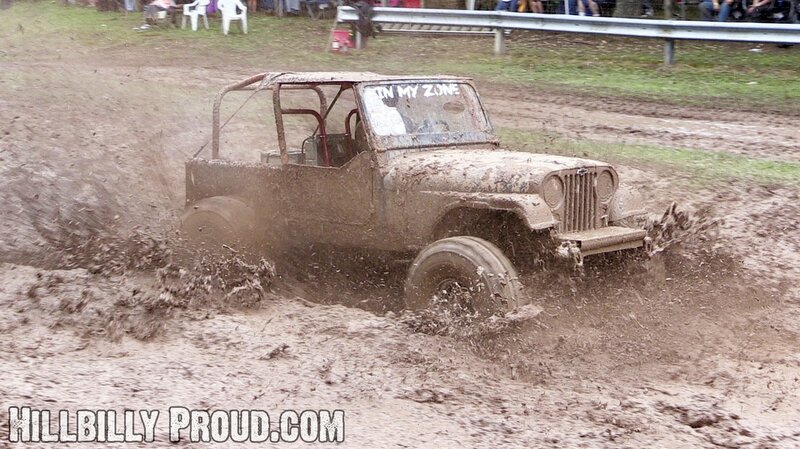 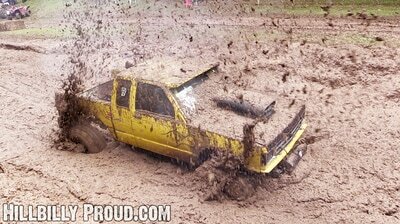 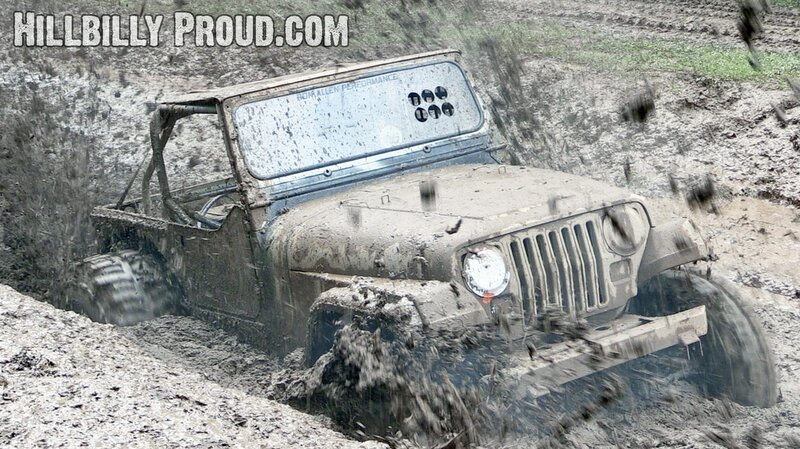 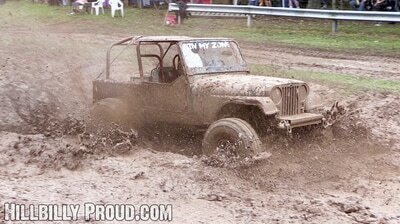 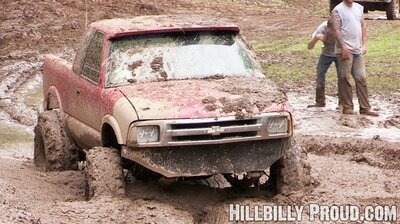 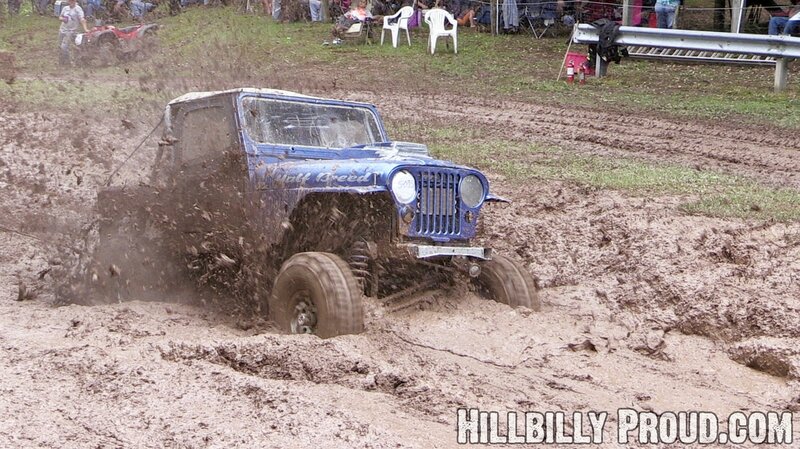 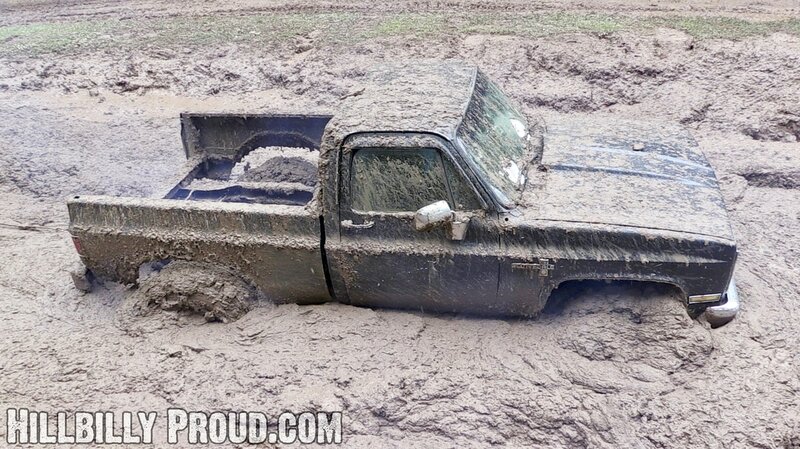 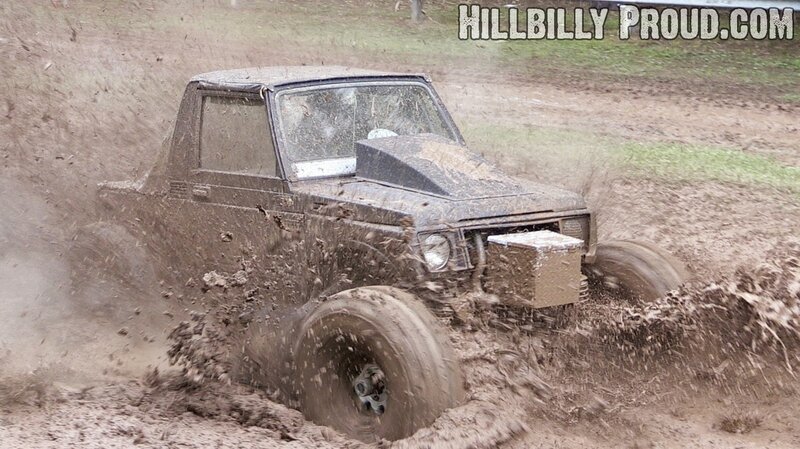 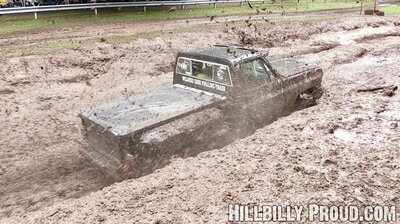 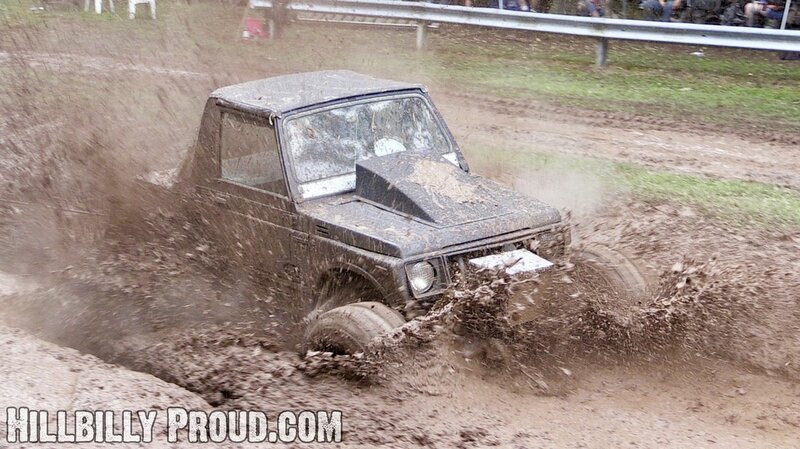 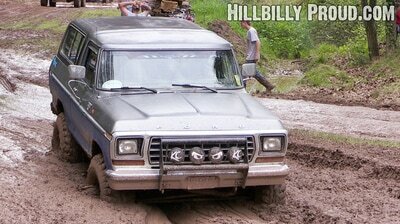 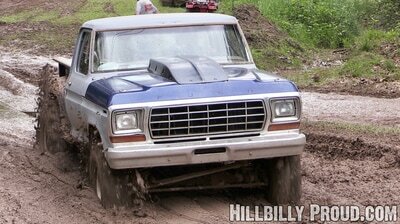 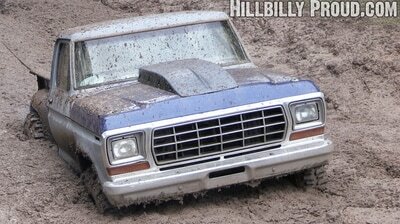 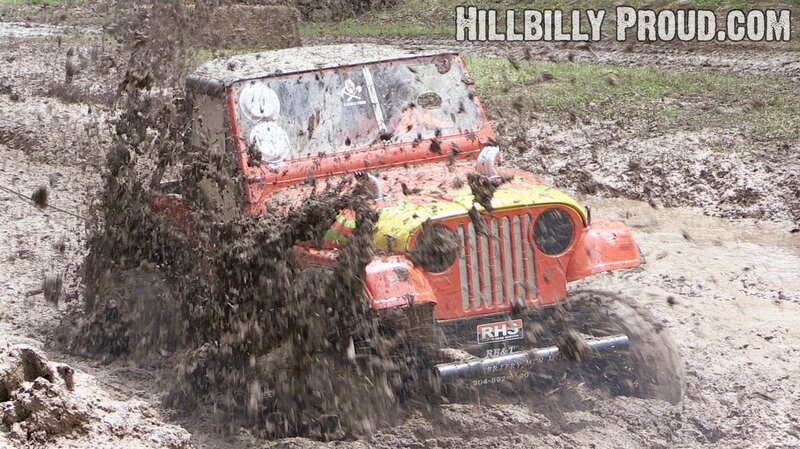 The mud bog started by 1 pm and as always the lineup was packed with great vehicles and racers. 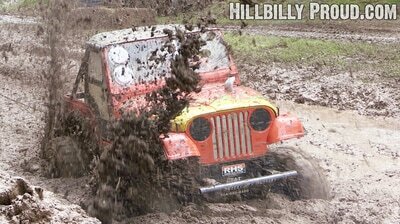 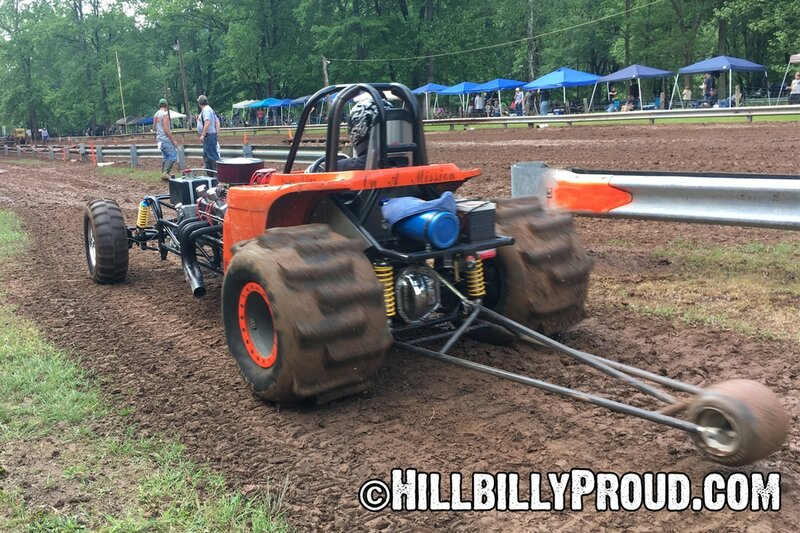 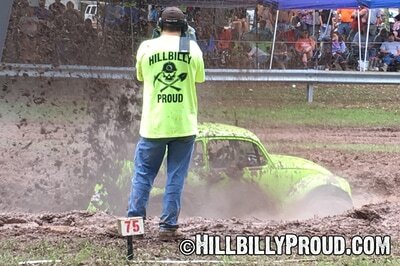 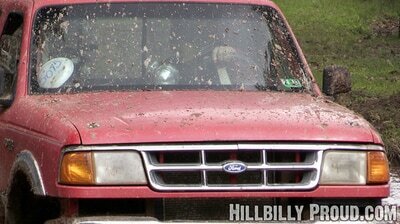 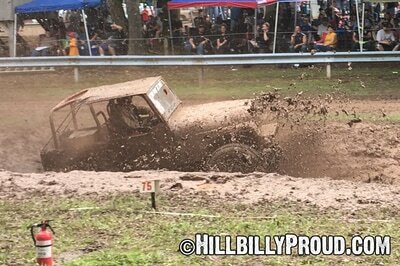 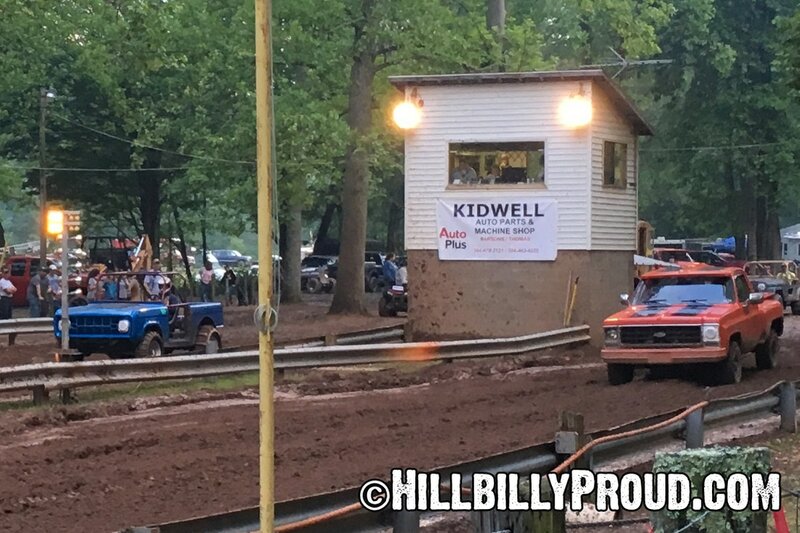 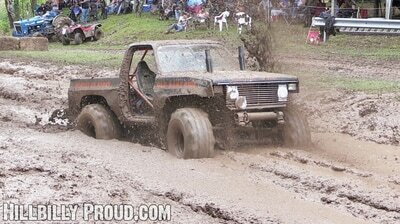 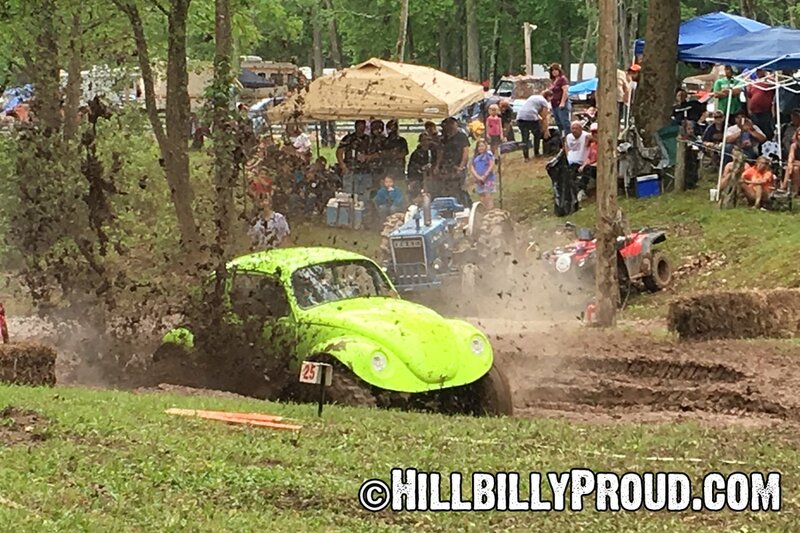 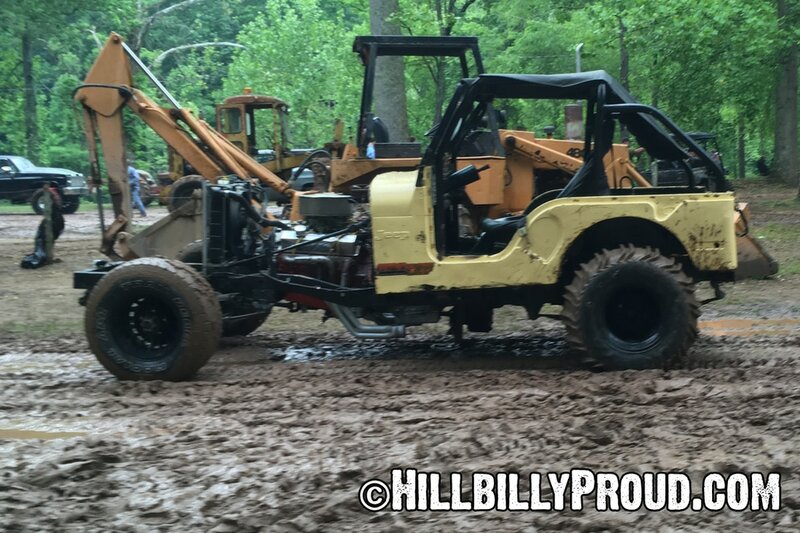 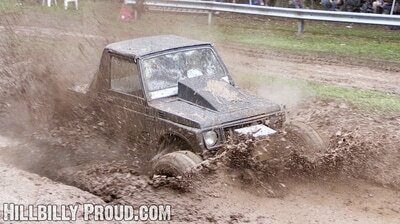 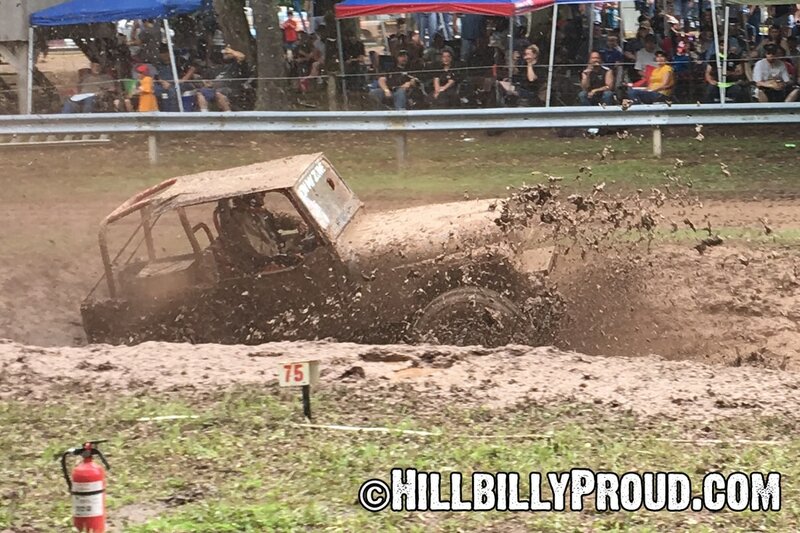 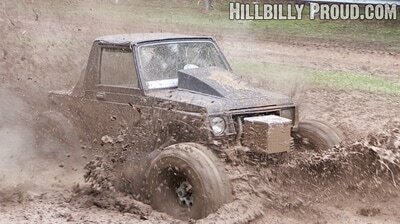 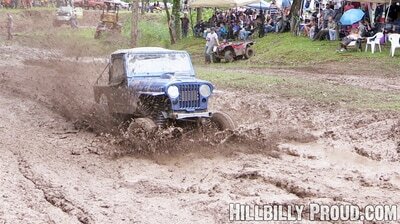 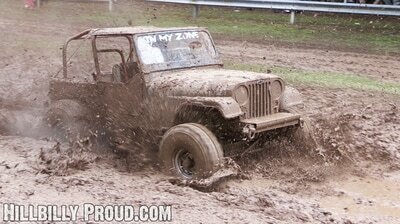 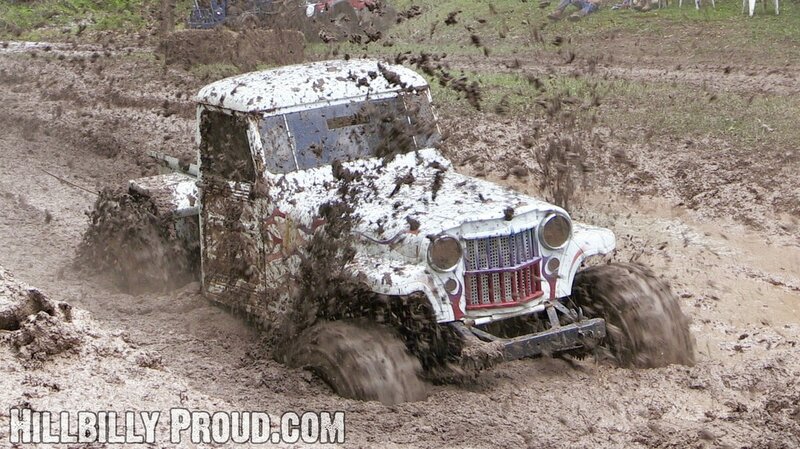 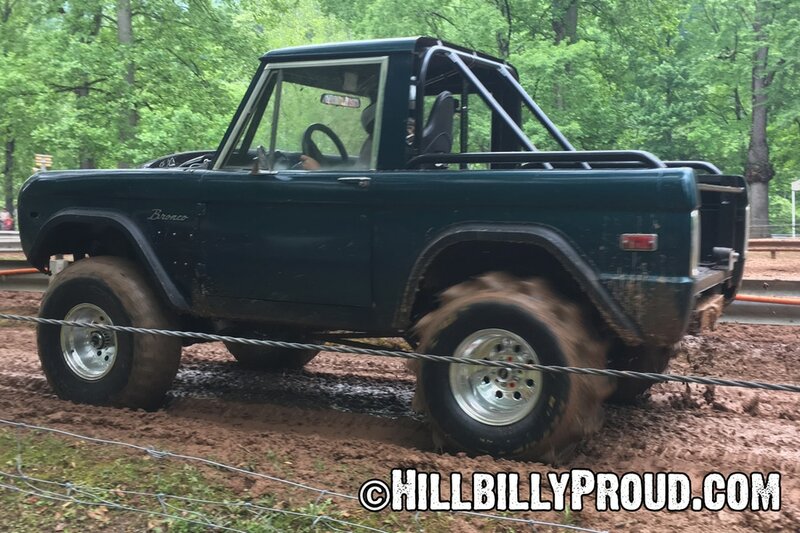 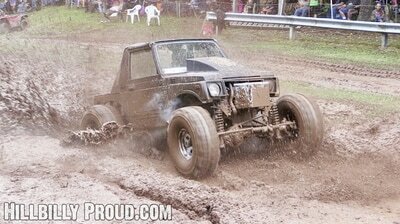 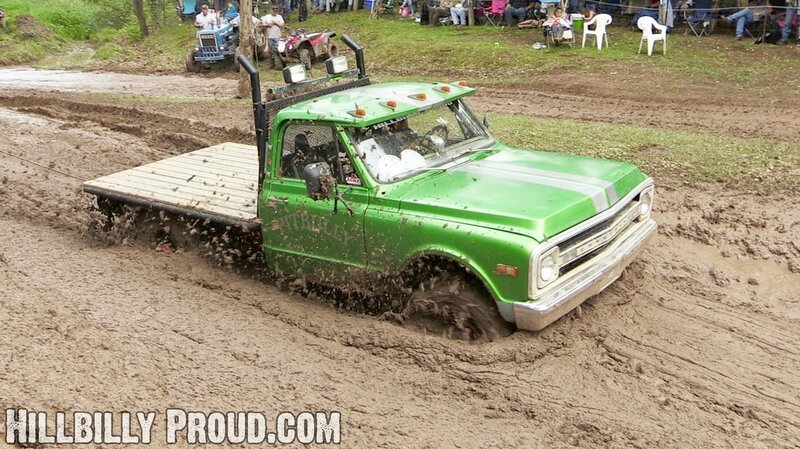 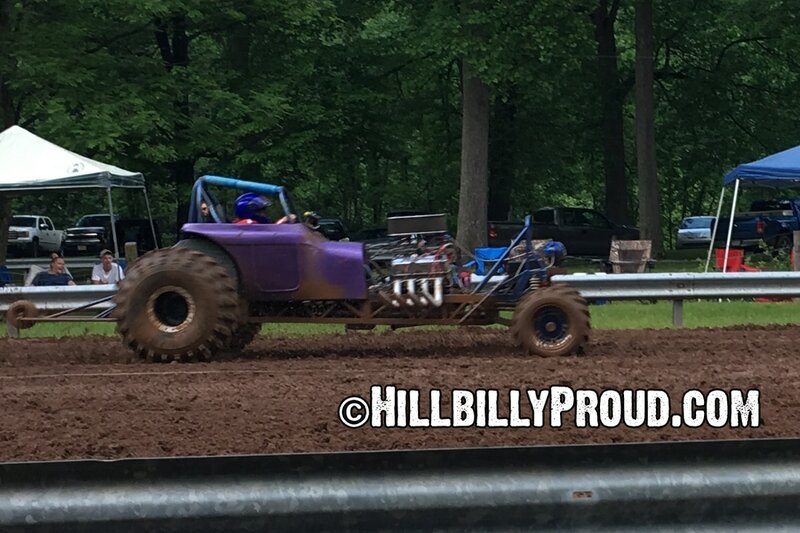 They run the mud bog classes from big to small so the crowd was instantly pleased when the all of the competitors in the first class flew throw the pit. 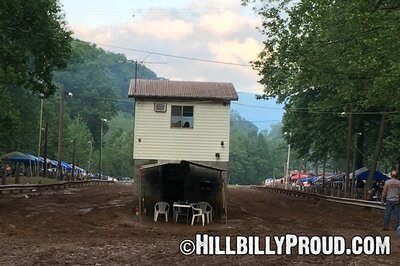 After the big guys, the pit was bored through with only occasional passes being completed while most trucks ended up stuck in the mud. 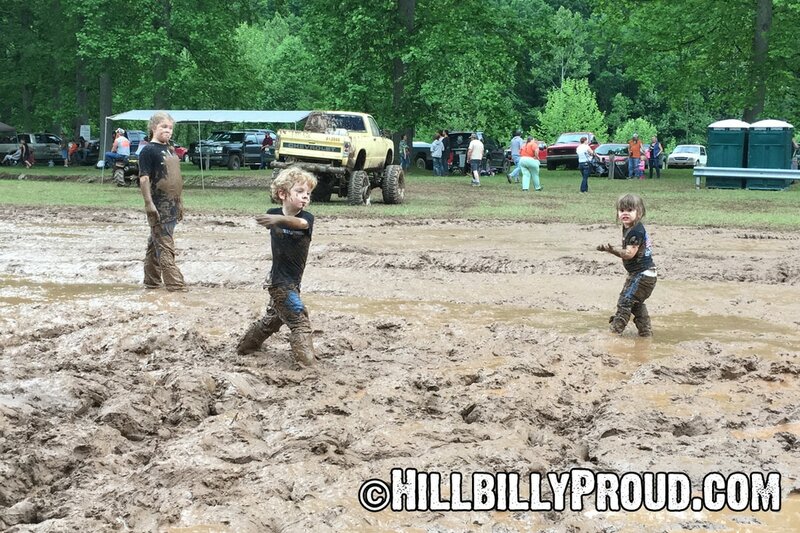 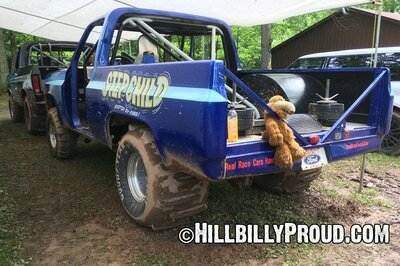 After the race our little hillbillies played in the mud. This is a rarer occasion than outsiders may think when they see the three amigos running around the tent like feral children running wild but as someone who gets to play in the mud quite a lot when I work the camera...I encourage all of you to do this, and to let your kids do it at least once. Mud gets into more crevices than you even knew you had available for it to reach and cleaning up in the cold river water is no picnic (2 of our 3 kids acted like we were torturing them) but there is nothing quite like swimming in 2 feet of squishy mud, making a mud pie bigger than your little sister, throwing handful after handful of mud at your little brother or just trying to walk through it. Driving through the mountains right alongside the Black Fork of the Cheat River in Parsons over Memorial Day weekend is one of those irreplaceable experiences and passing the Parsons City Cemetery and witnessing the fresh flowers placed at the graves of newly displayed American flags helps to remind race enthusiasts of just how blessed we truly are. 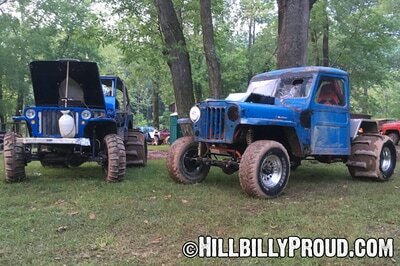 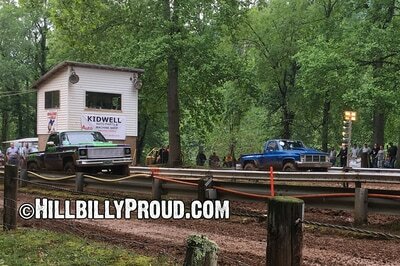 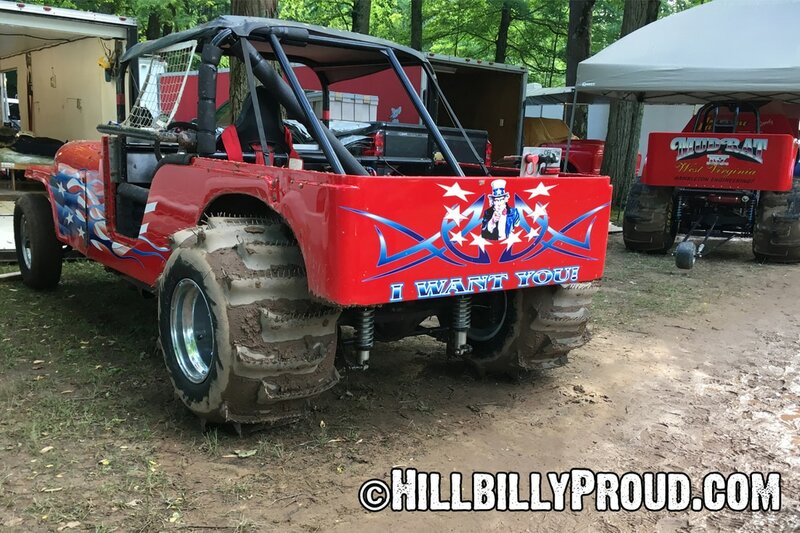 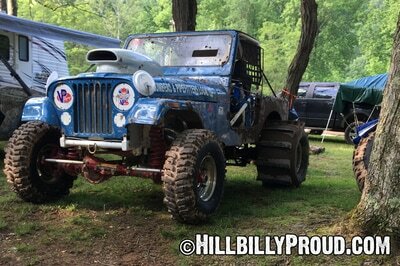 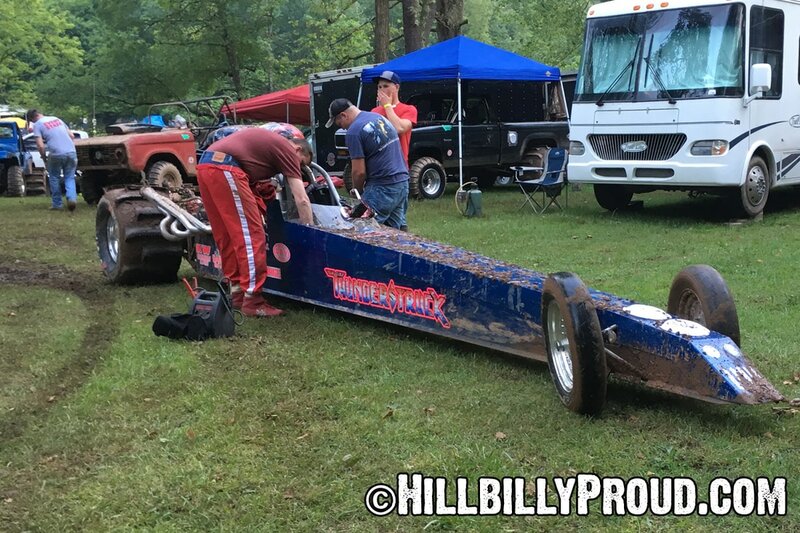 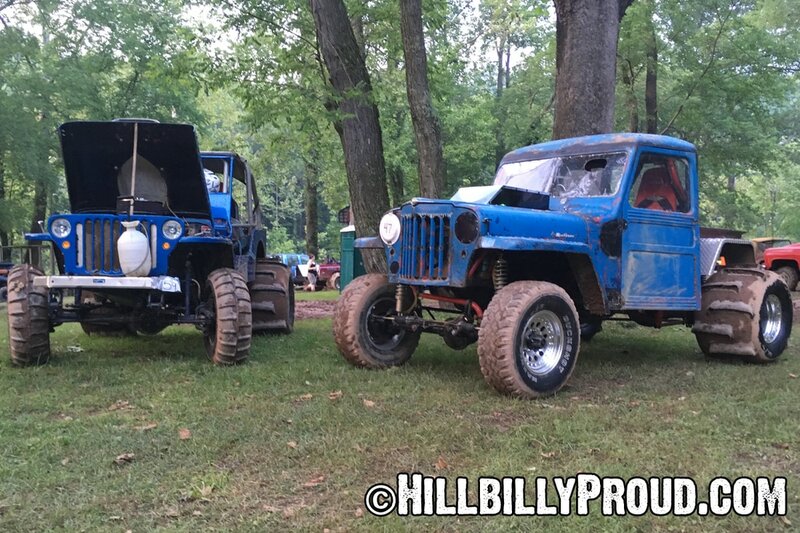 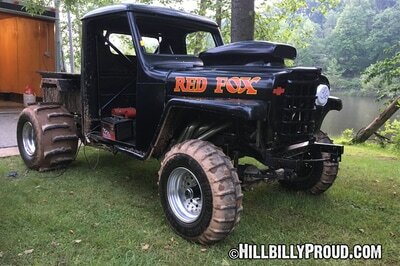 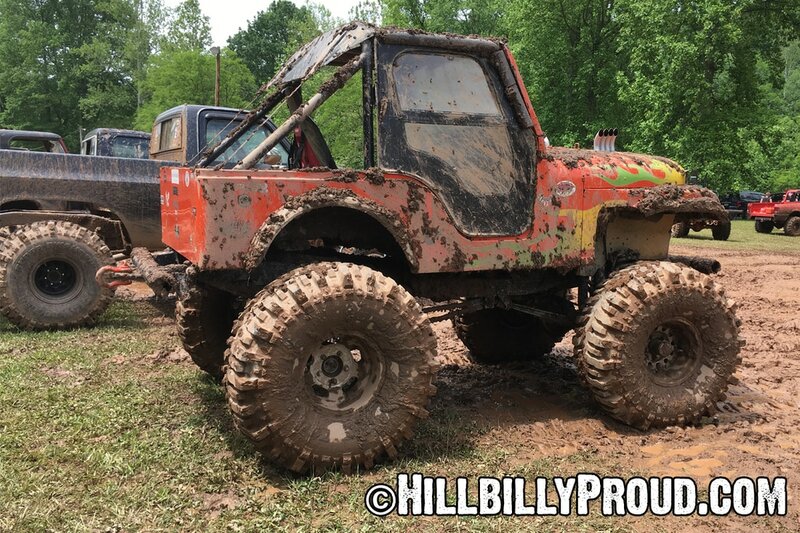 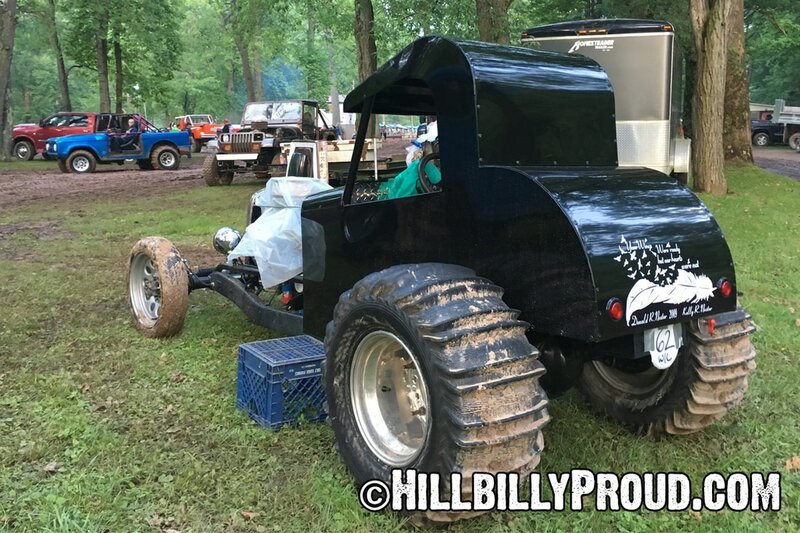 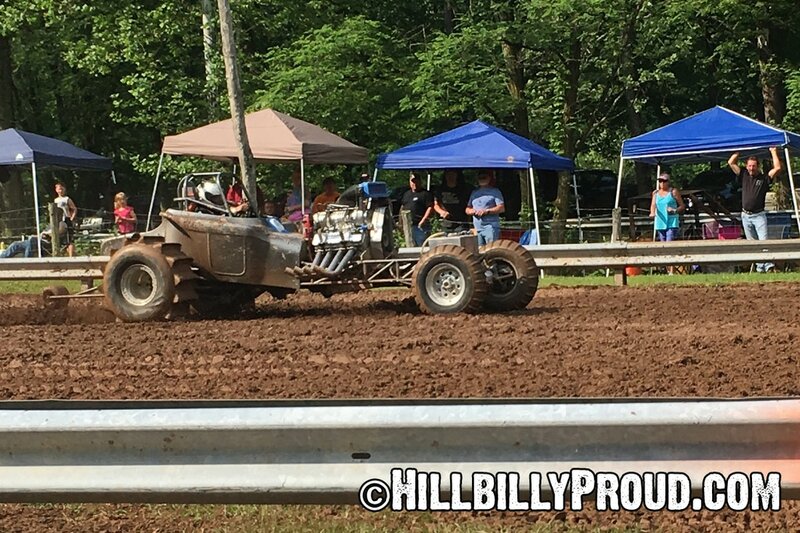 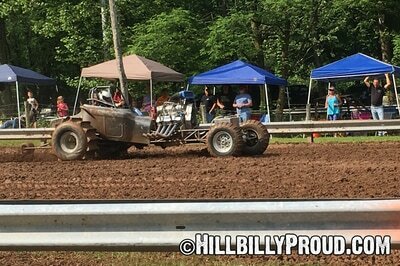 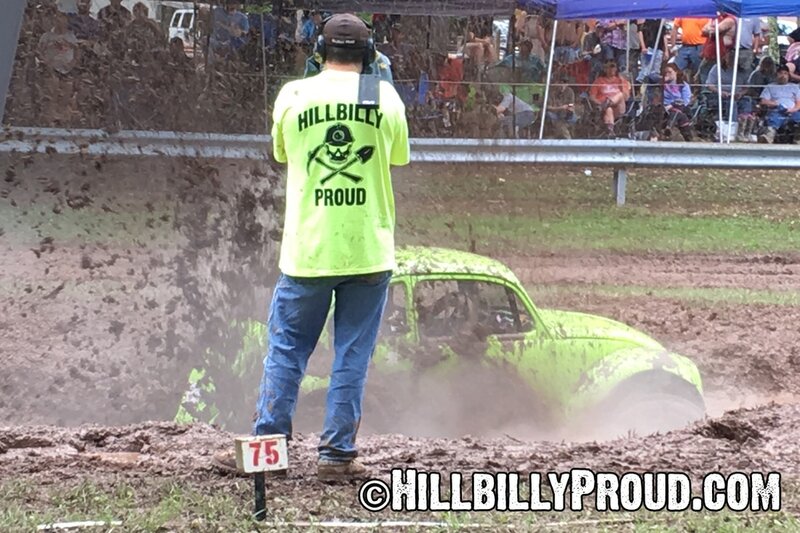 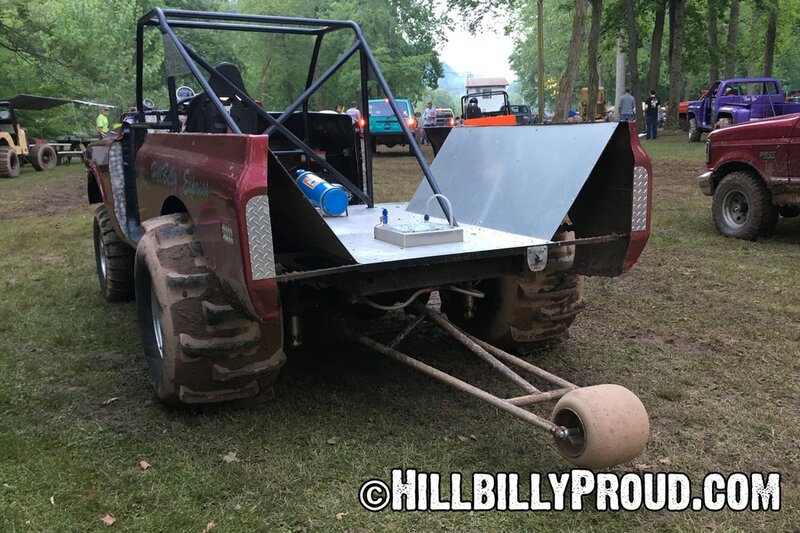 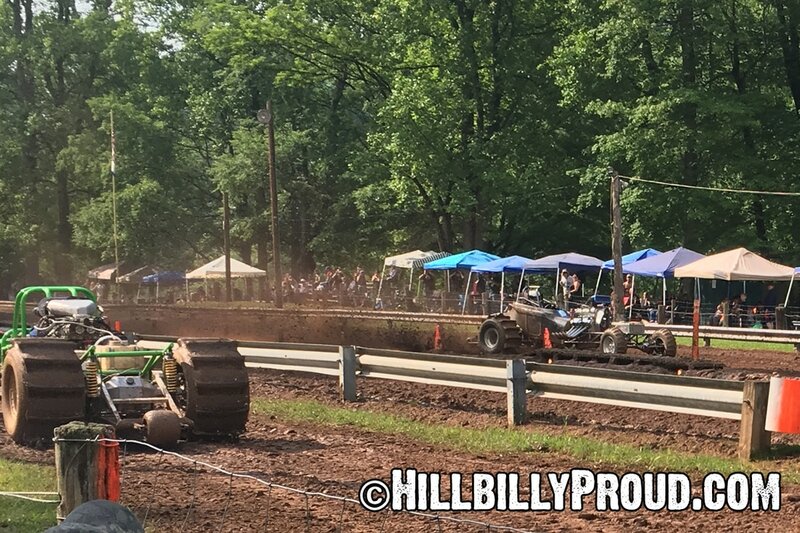 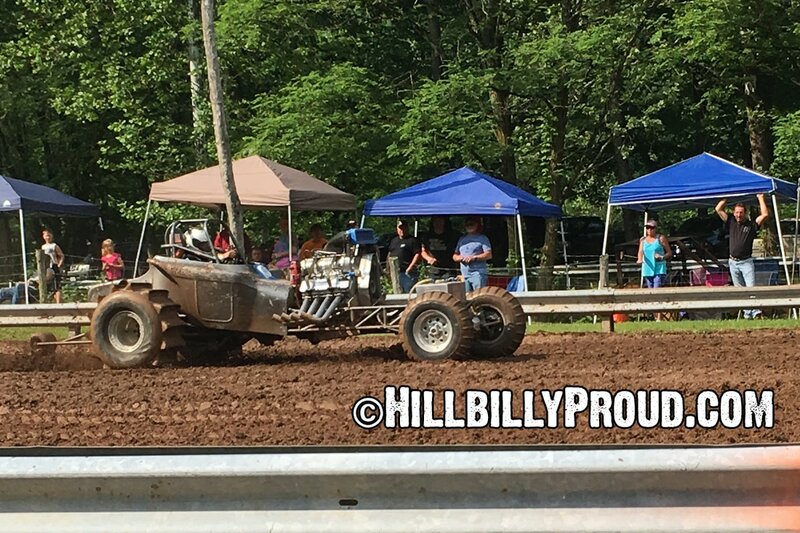 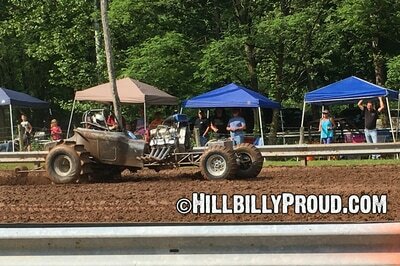 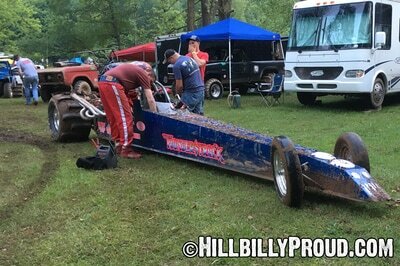 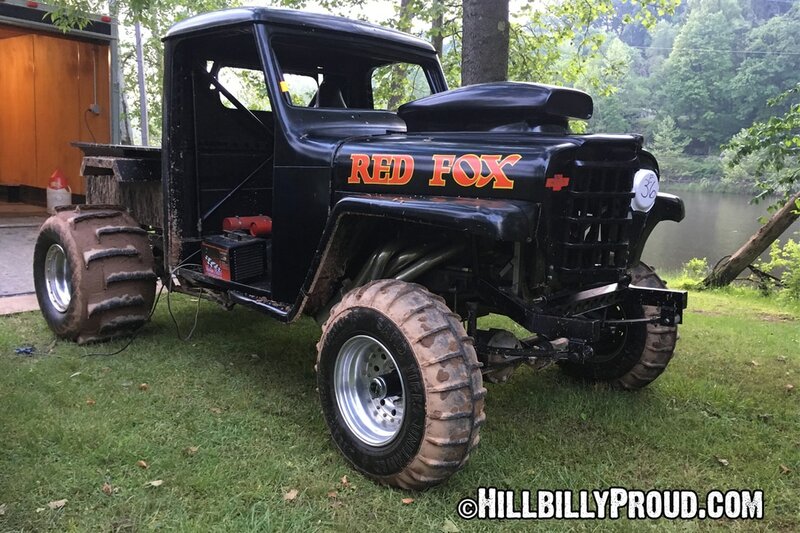 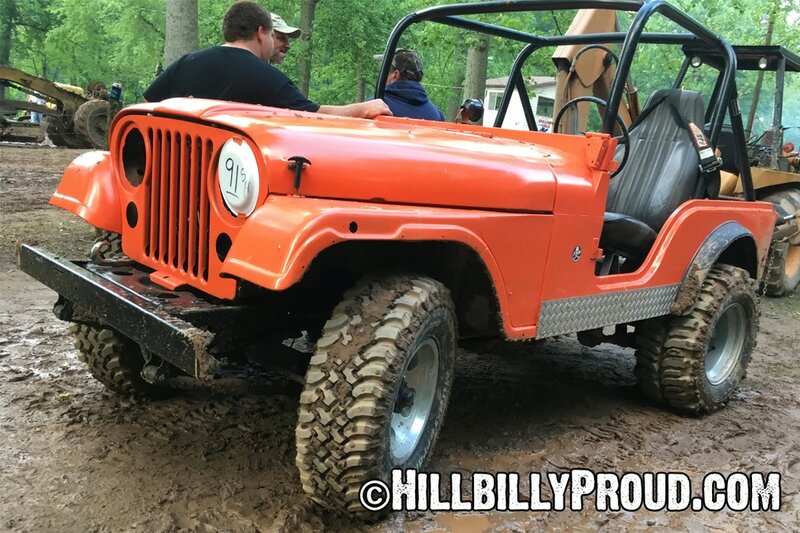 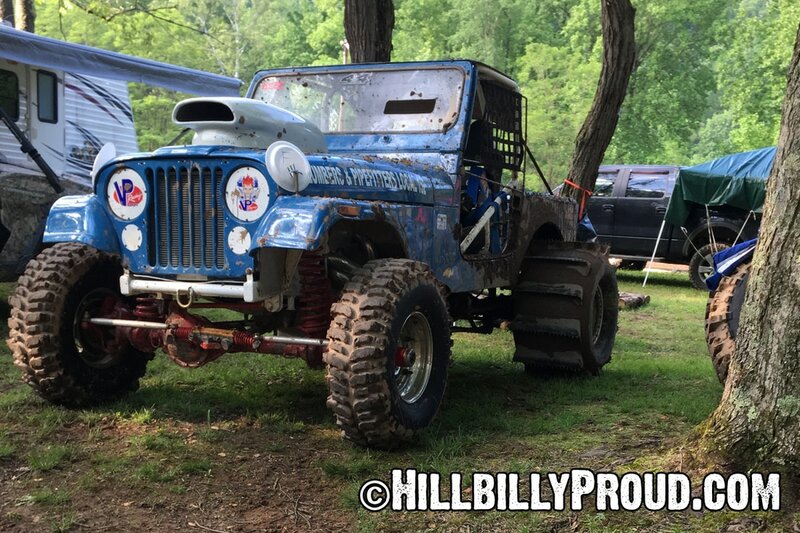 Videos will be on the Hillbilly Proud YouTube channel soon, thank you to the Tucker County 4 Wheelers for putting on a great weekend, we hope to see you all again next Memorial Day weekend. 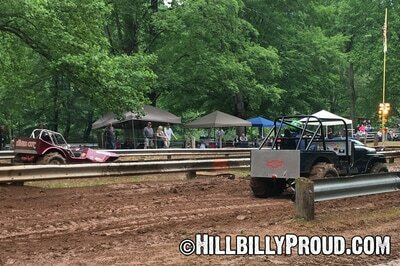 There were many nearby events, parks, and activities for families to enjoy a getaway into the mountains over an extended weekend at the 2017 Challenge In The Hills Sand Drags & Mud Bog including a Memorial Service that I see held near the city building around noon on Sunday so it's a great overall experience.